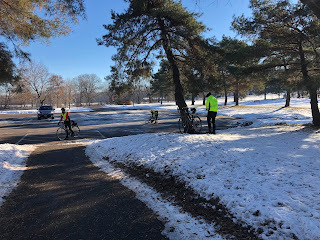 Here are some pictures and videos from some of my rides in the month of December 2018. 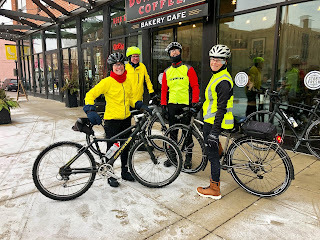 On Saturday, 12-01-18, I led my ride, A Ride of Two Cities, from the Dunn Brothers in Minneapolis on Lake St. 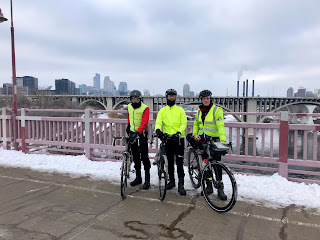 This was a 41 mile ride around the Twin Cities. 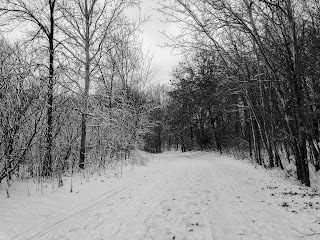 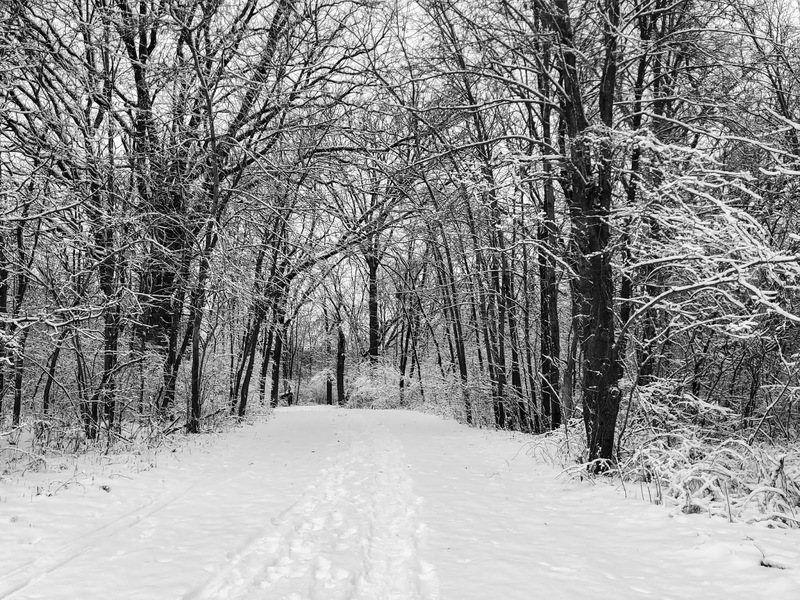 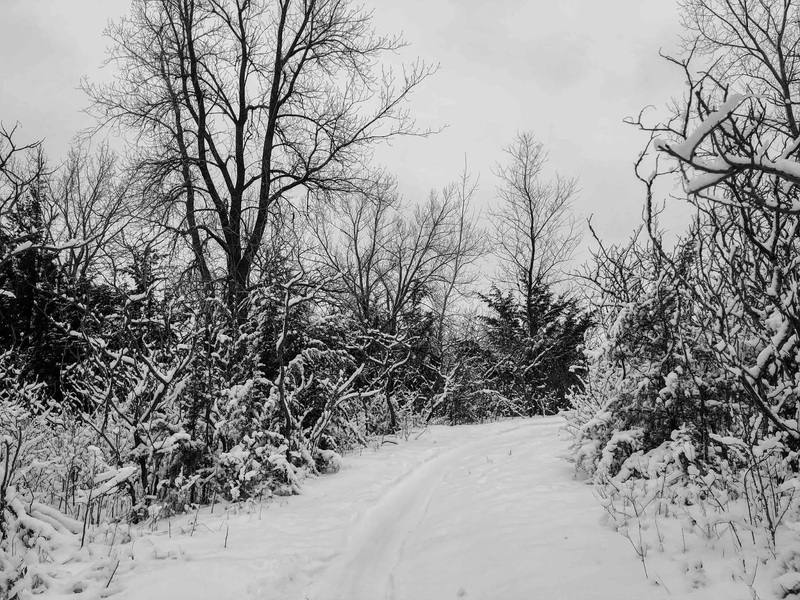 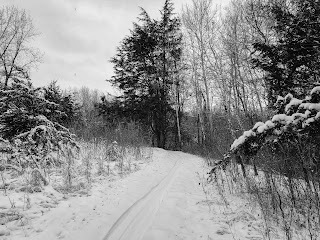 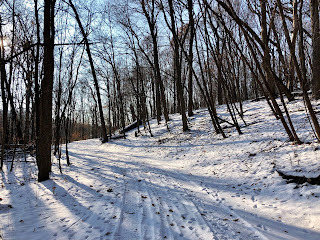 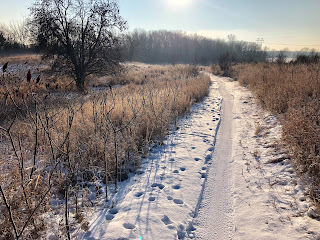 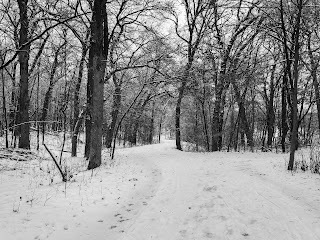 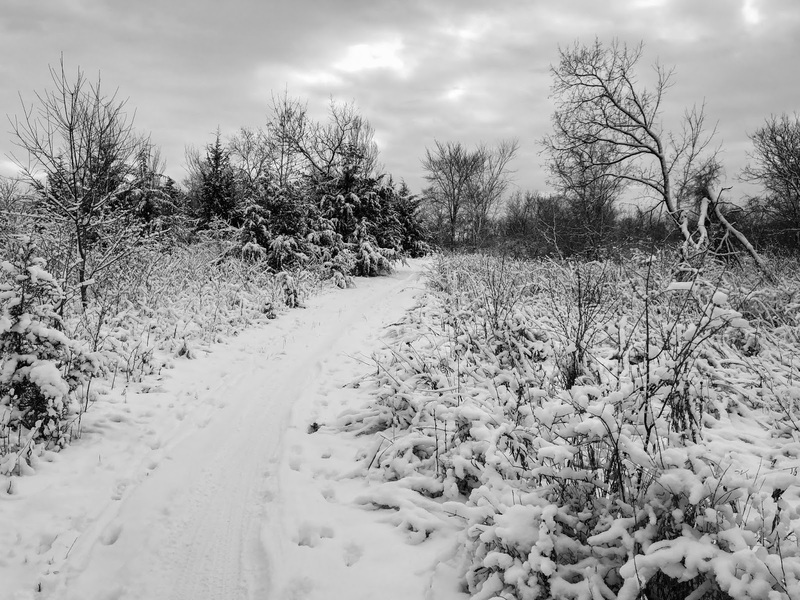 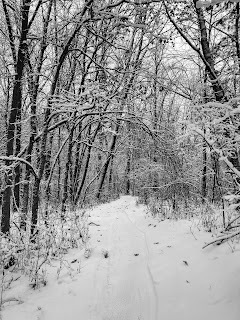 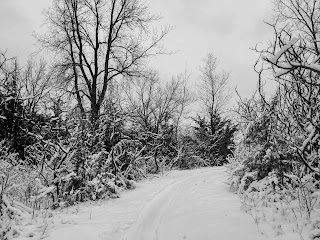 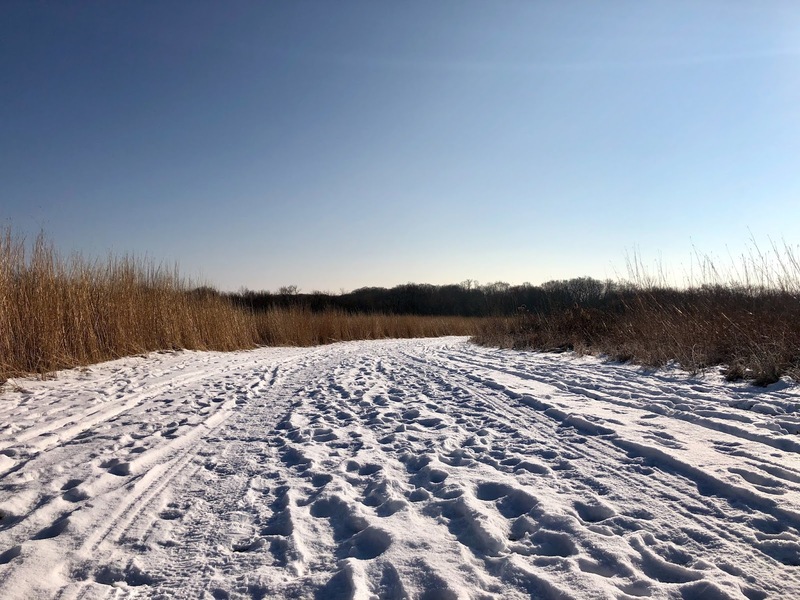 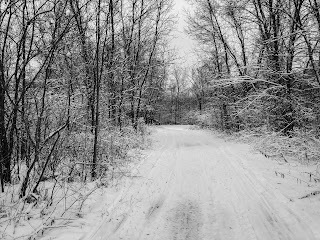 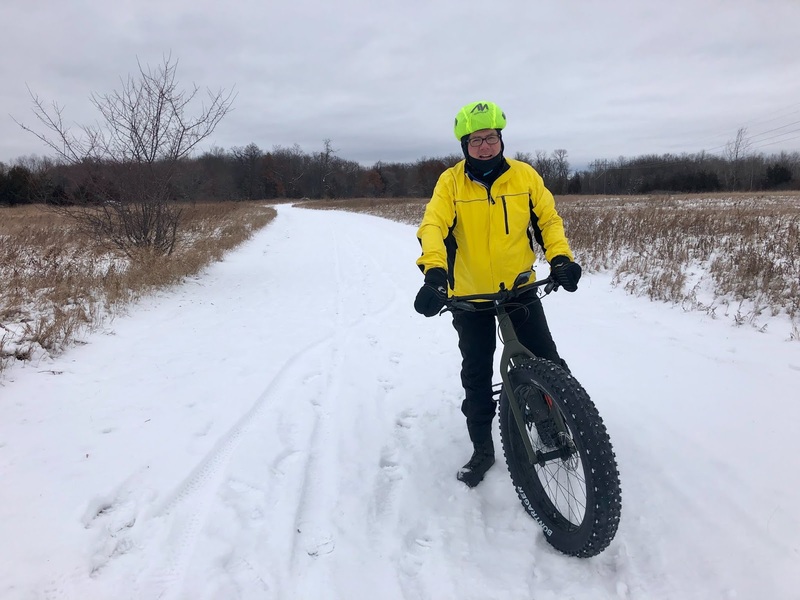 On 12-02-18 I took my fat bike around Elm Creek Park. 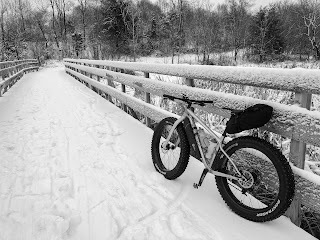 This was an almost 17 mile ride. 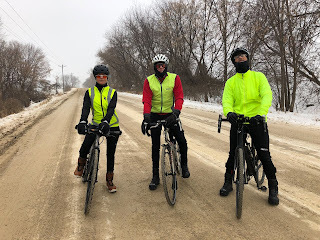 On 12-04-18 Catherine, Paul, Joe and I rode my Going Somewhere ride which ended up being 55 miles long. On 12-06-18 Paul, Joe and I rode my Coffee Box ride. 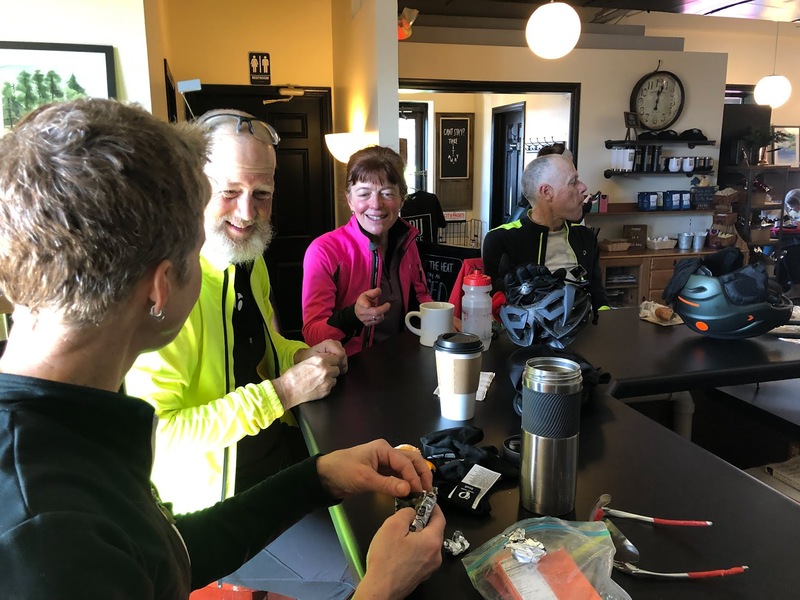 We took our break at the Bridge Street Coffee Box in Oak Grove. 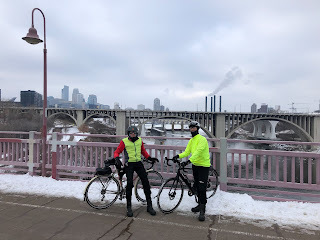 The ride was 49 miles long. 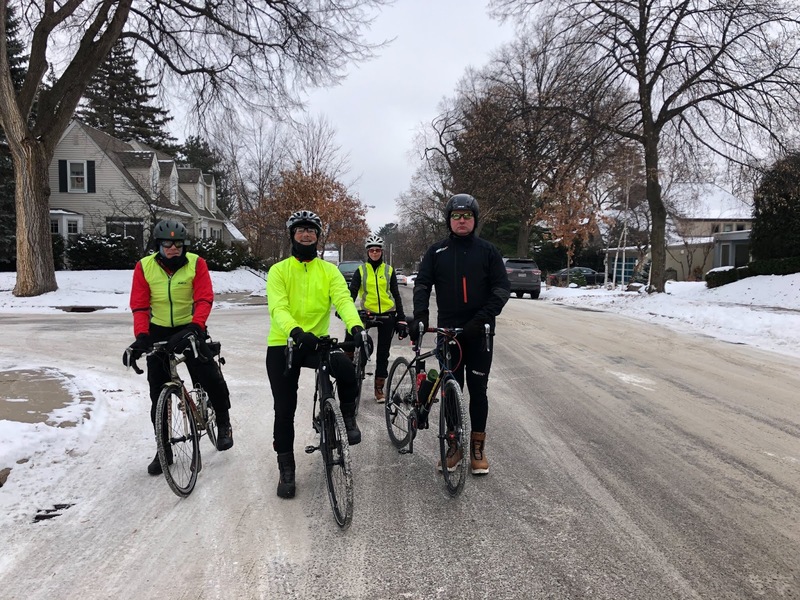 On 12-08-18 Joe, Paul, Catherine, Andrei and I rode my Winter Sampler ride from Dunn Brothers in Minneapolis. We took our break at Carma Coffee in NE Minneapolis. 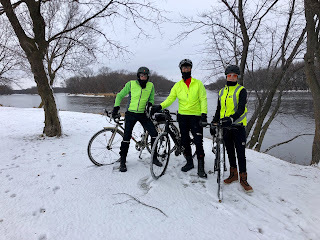 The ride was 37 miles. Andrei broke off from the group about a half mile from the end to complete 31 miles. The rest of us continued on to do the slightly longer loop of 37 miles. Catherine didn't stop for break and continued on to complete the 37 mile loop on her own. 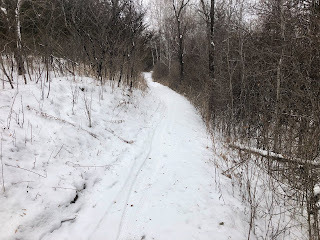 On 12-9-18 I took my fat bike back out to Elm Creek Park for a 14 mile ride. On 12-11-18 Joe, Catherine, Paul and I rode 58 miles on my ride I called, Blackwater Coffee Revisited. 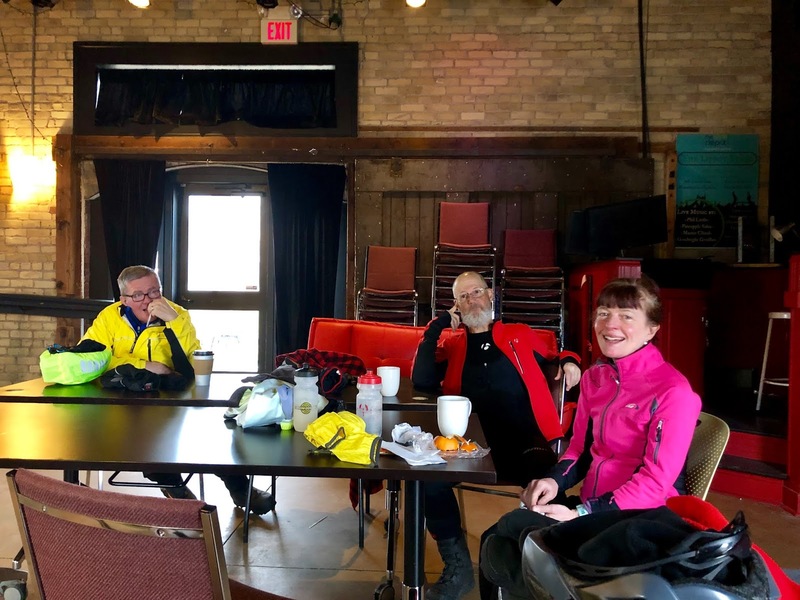 The break was at the Blackwater Coffee in Maple Plain. 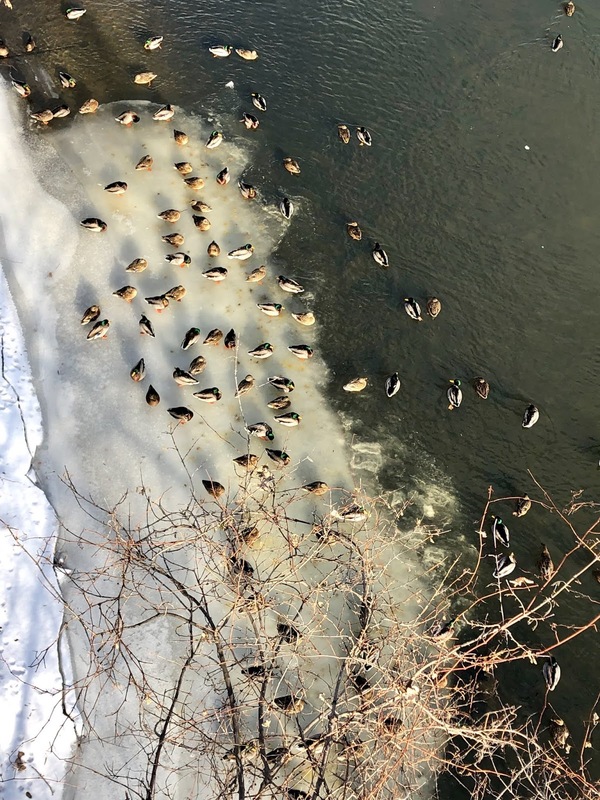 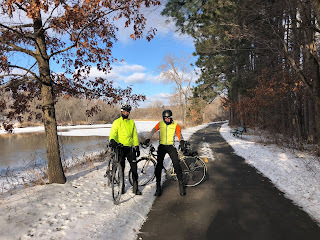 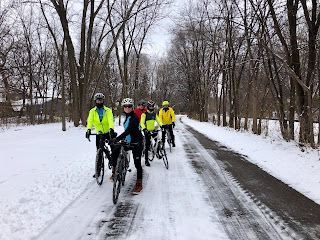 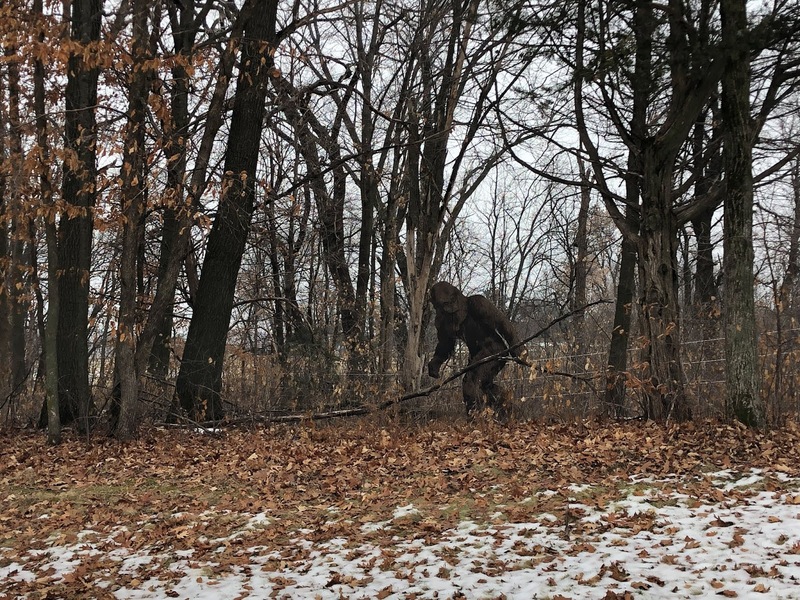 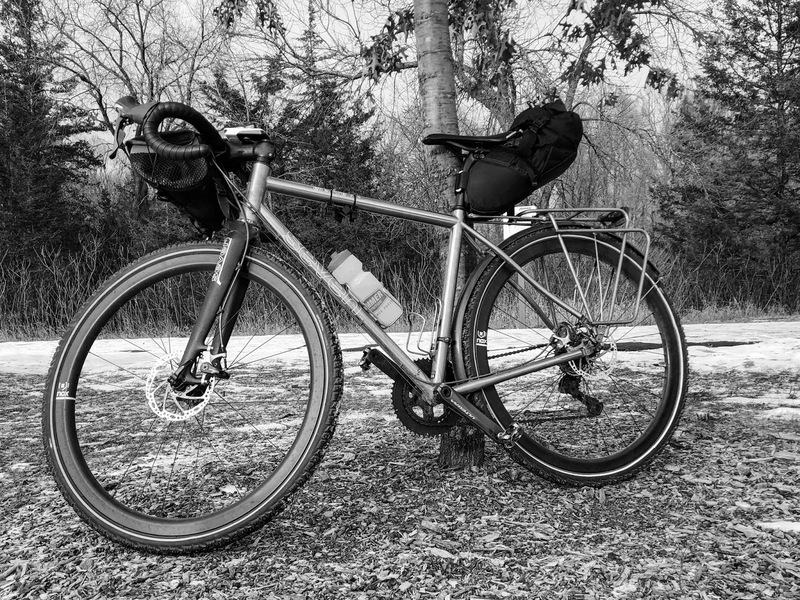 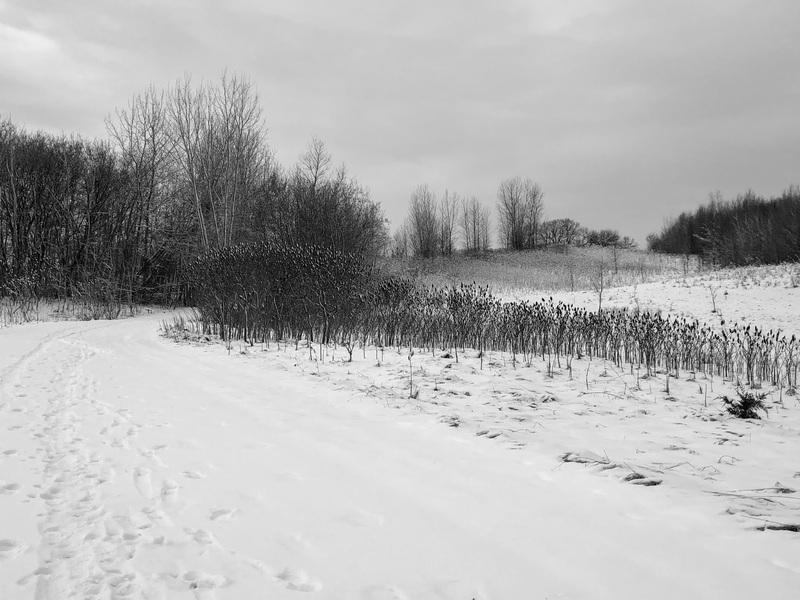 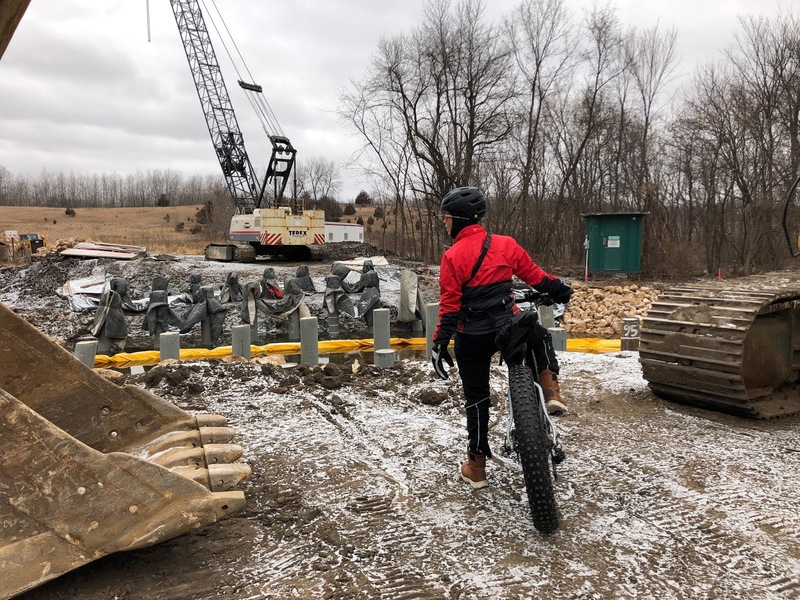 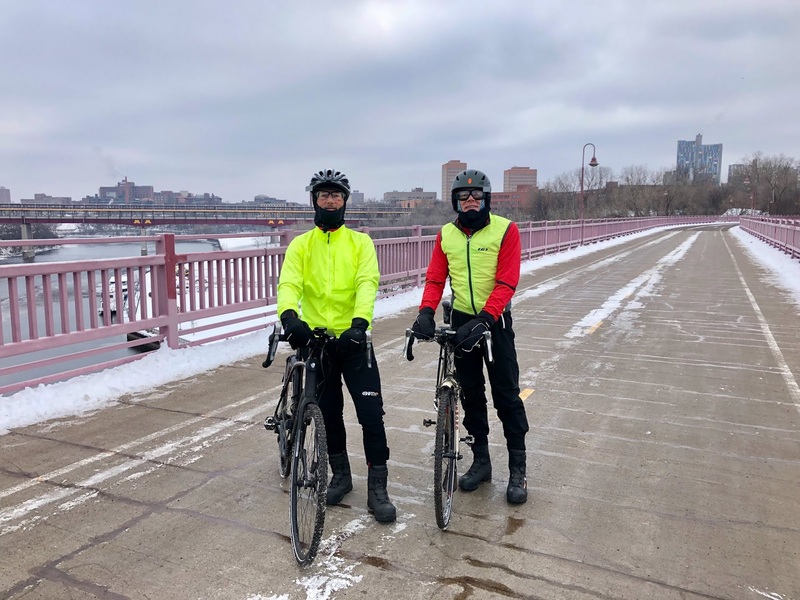 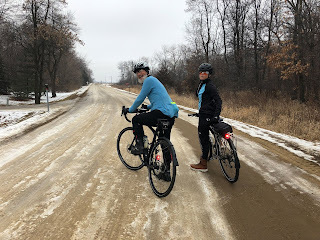 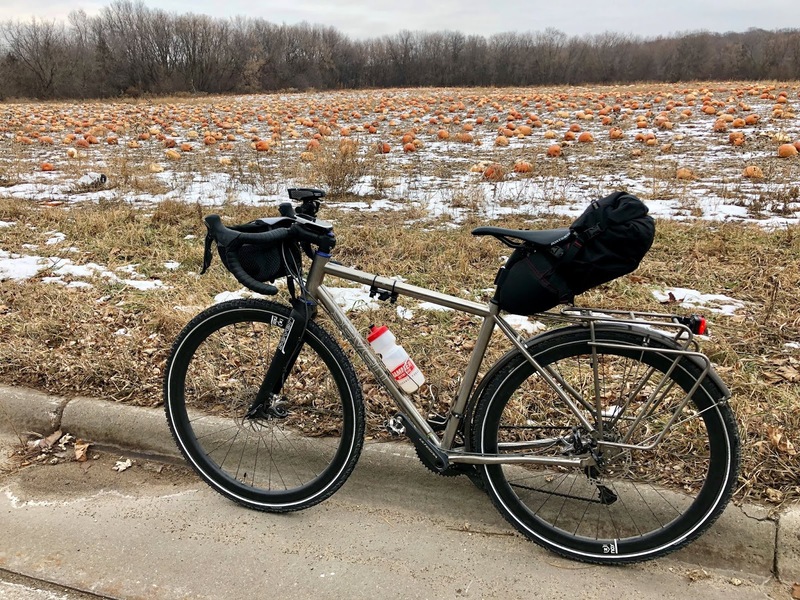 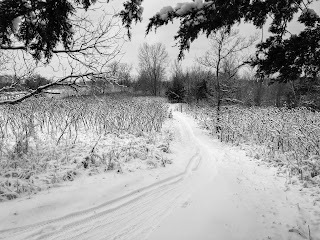 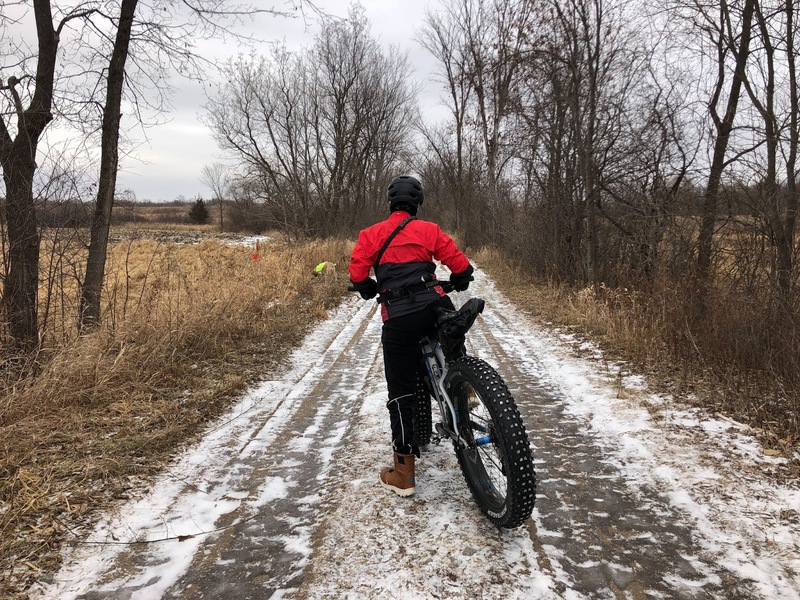 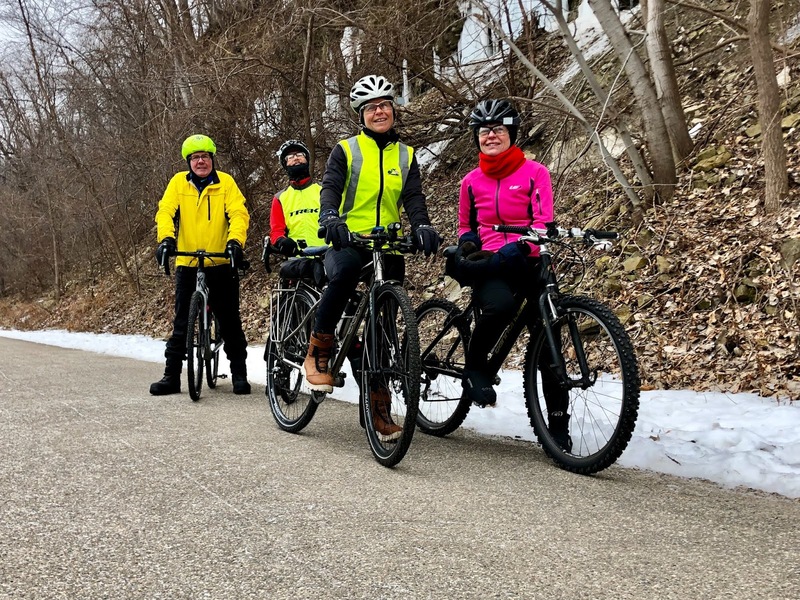 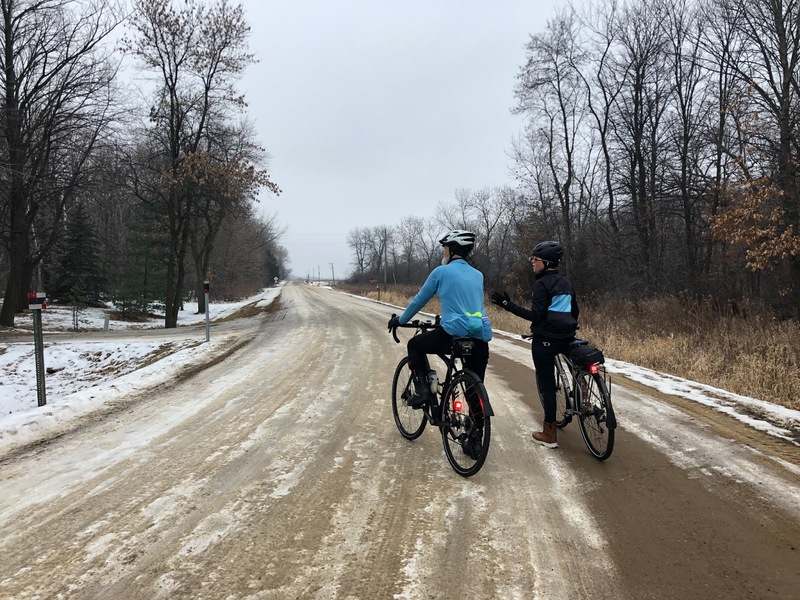 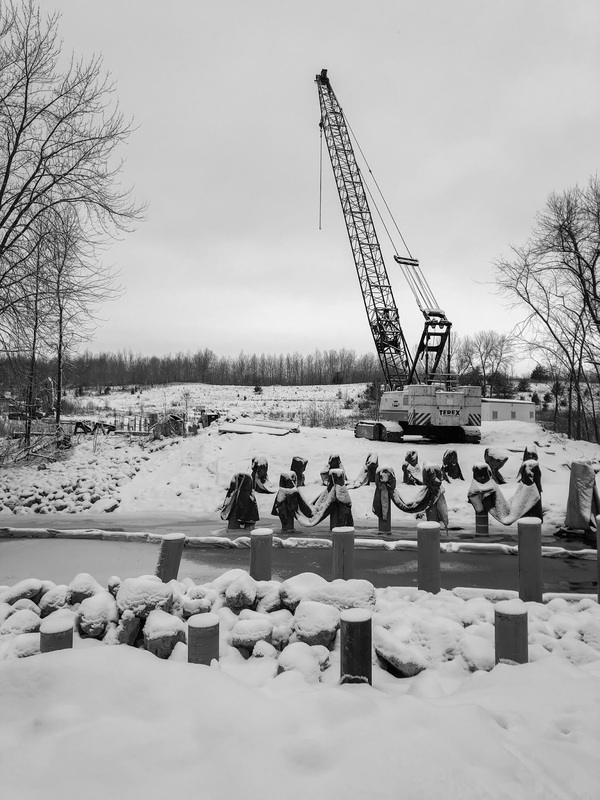 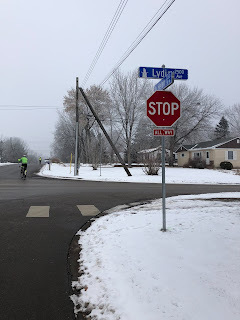 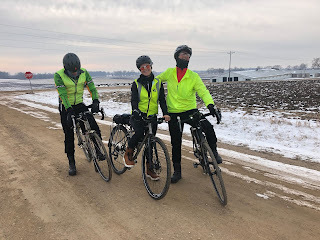 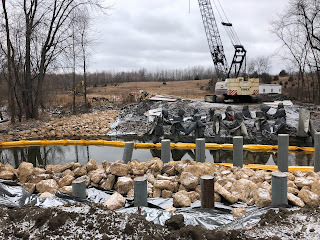 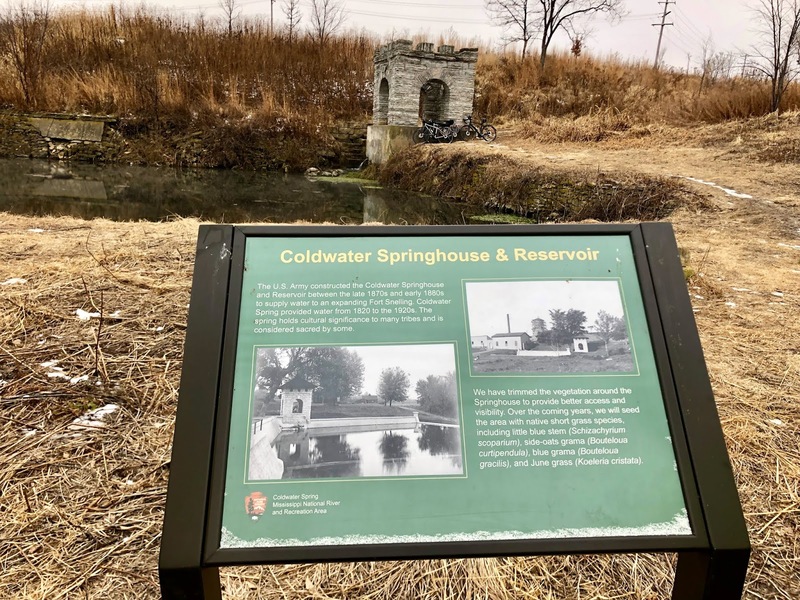 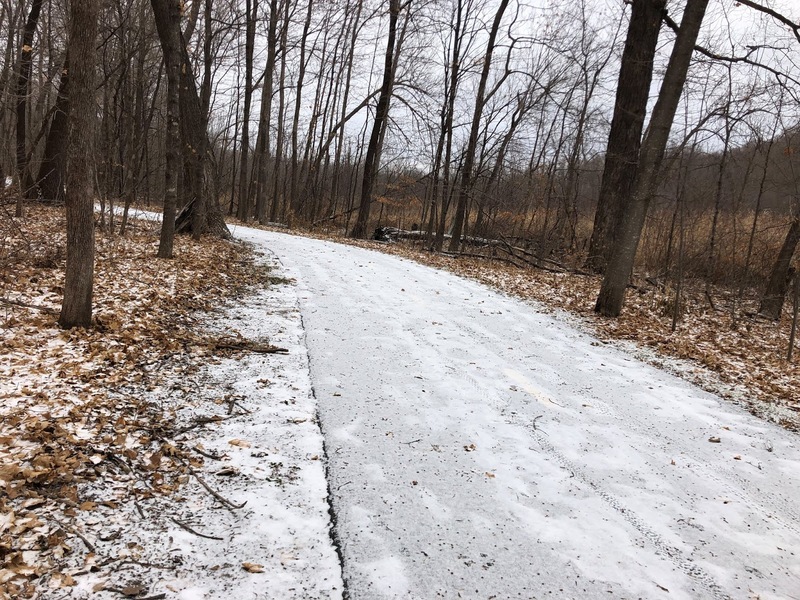 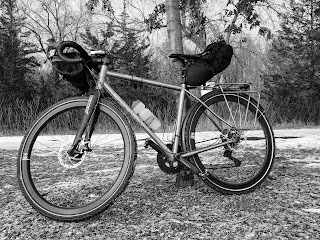 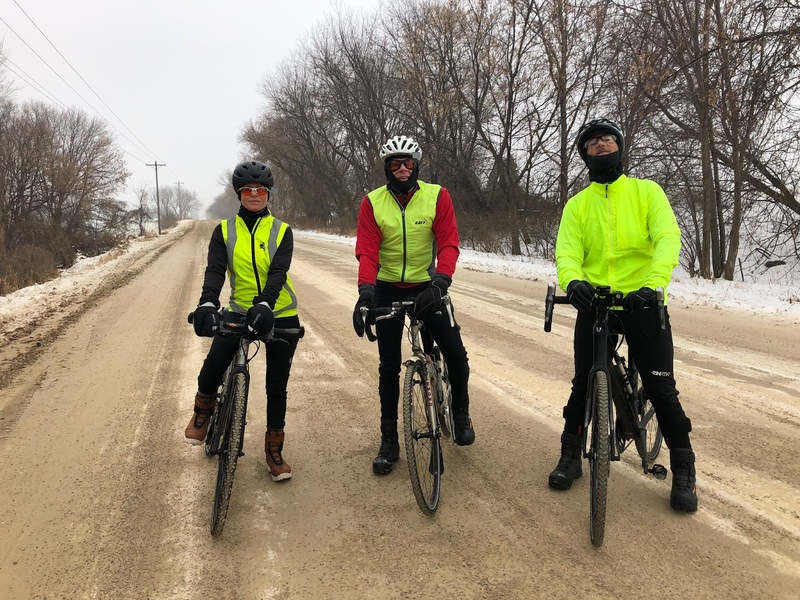 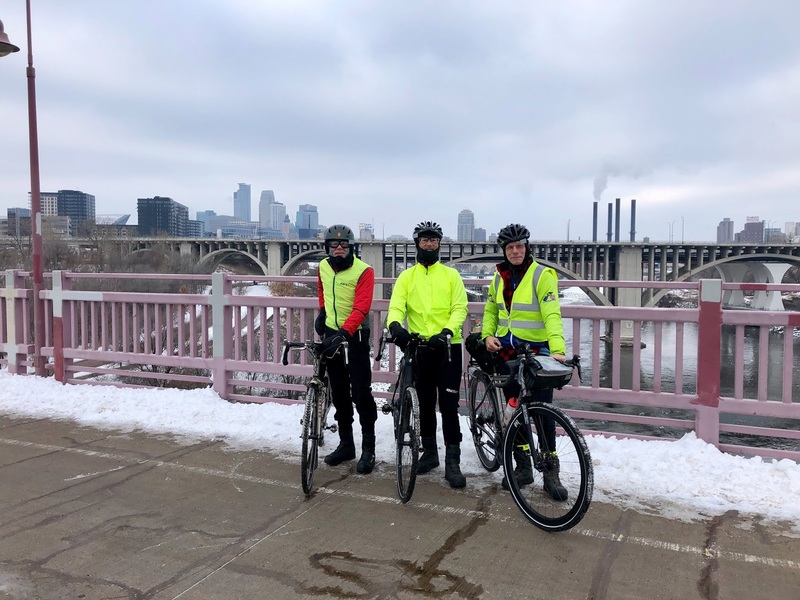 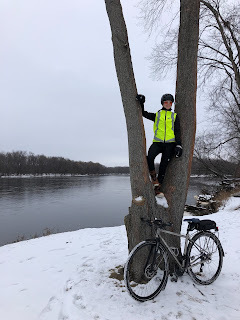 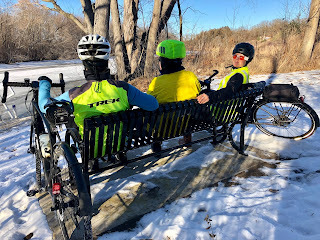 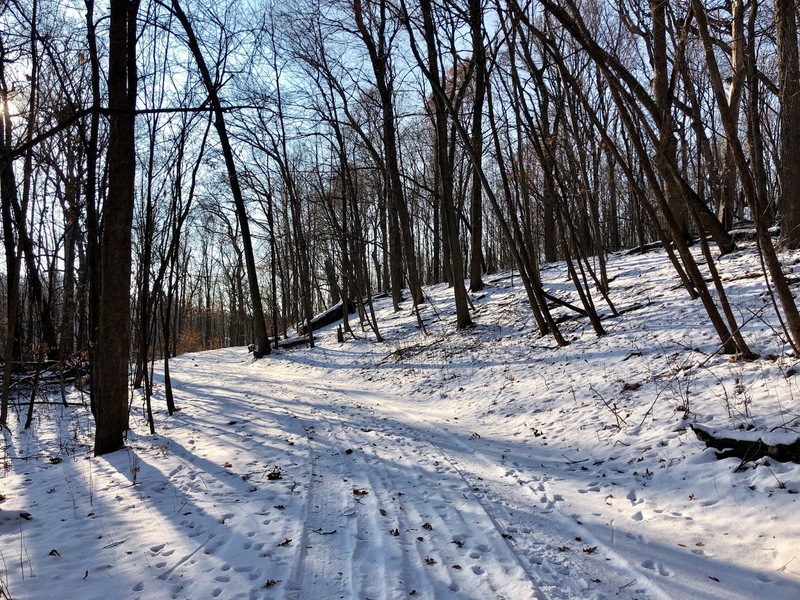 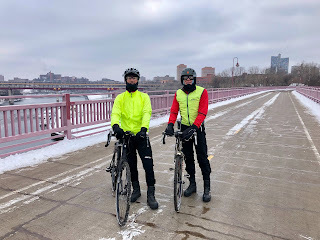 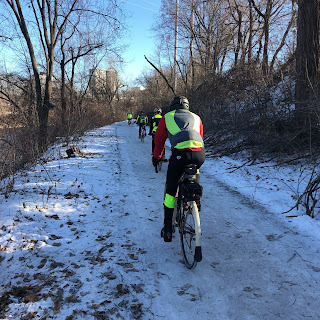 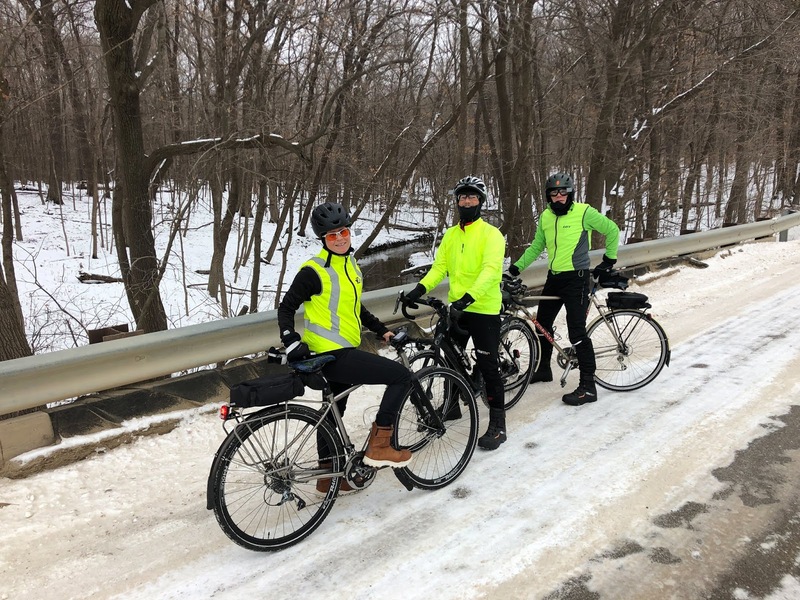 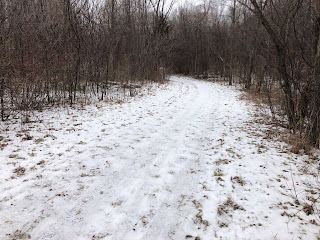 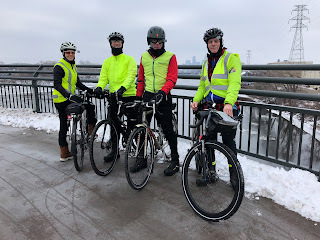 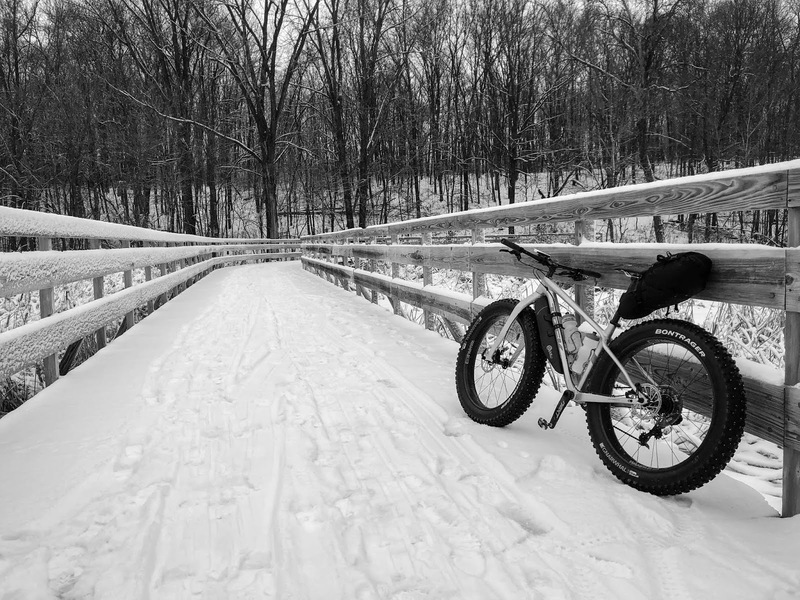 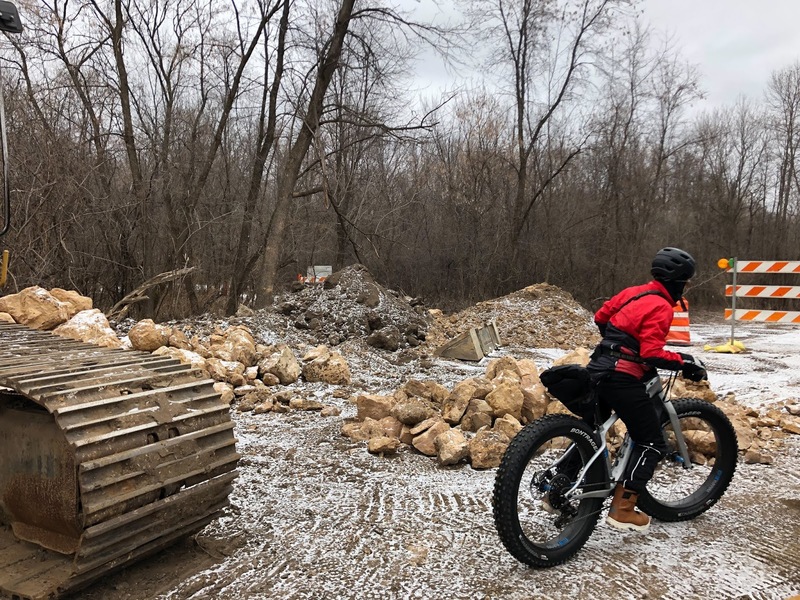 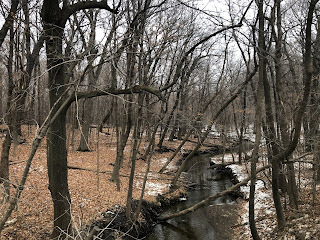 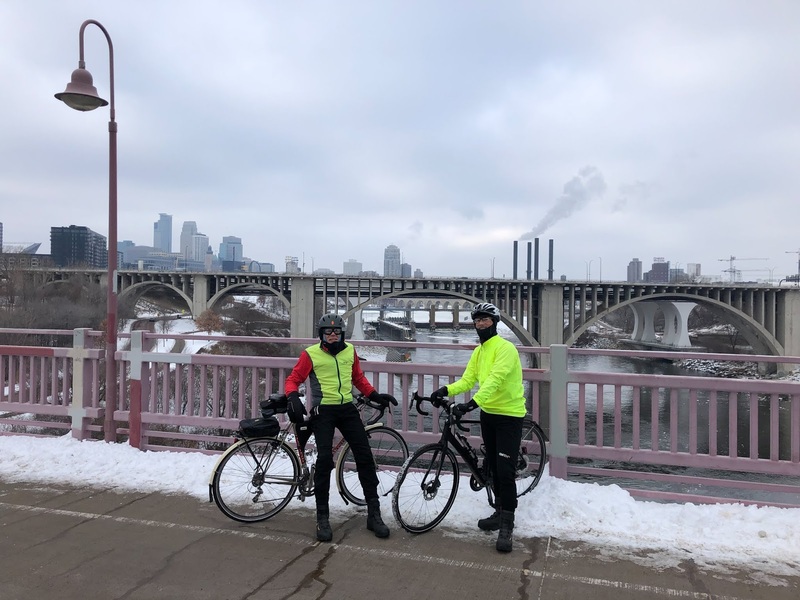 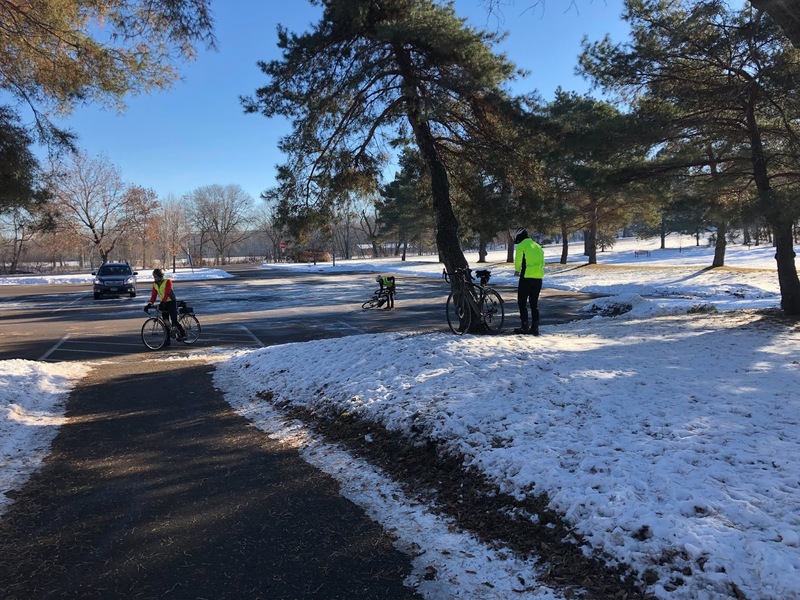 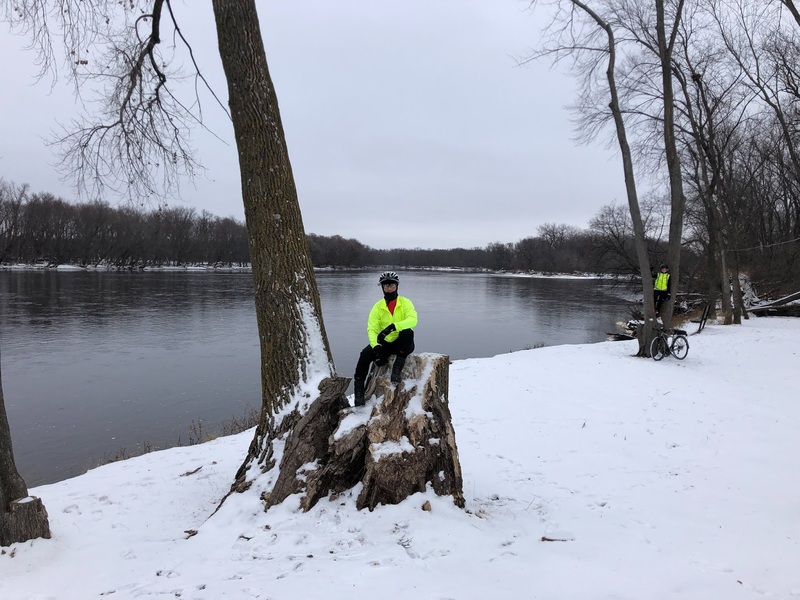 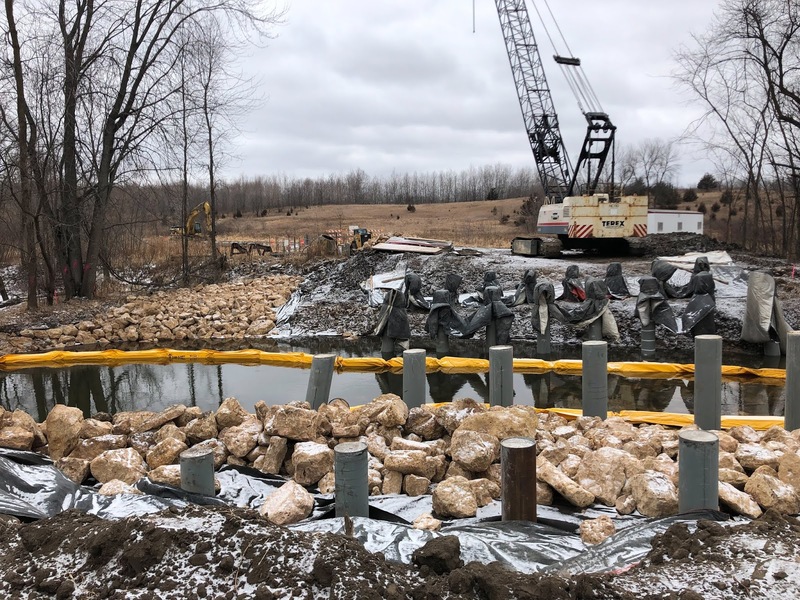 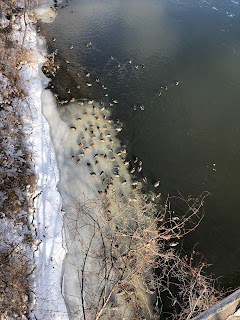 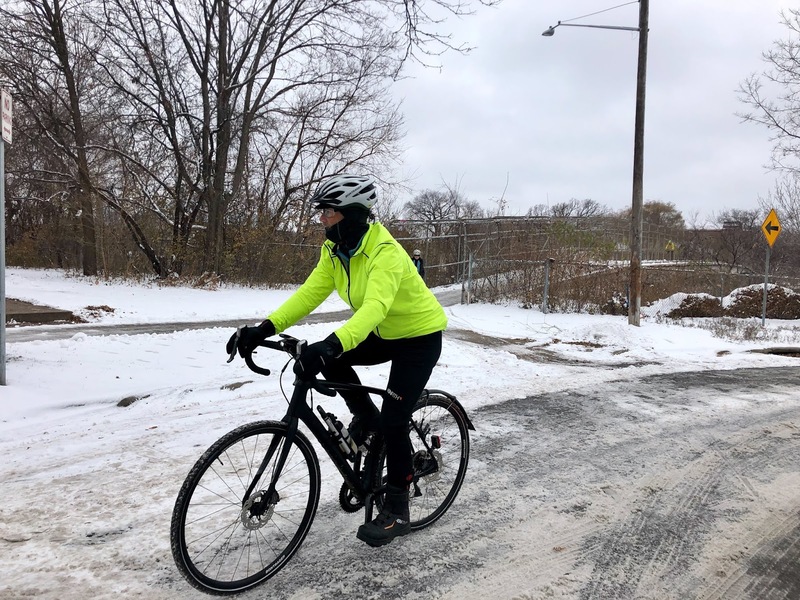 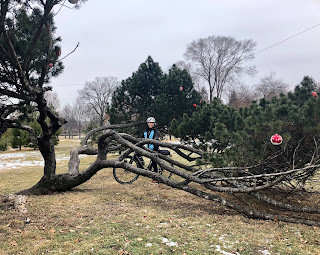 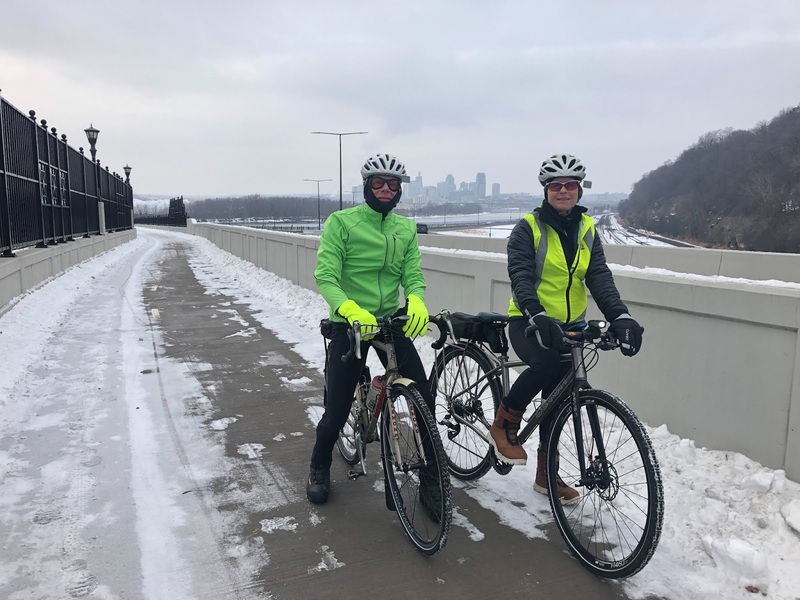 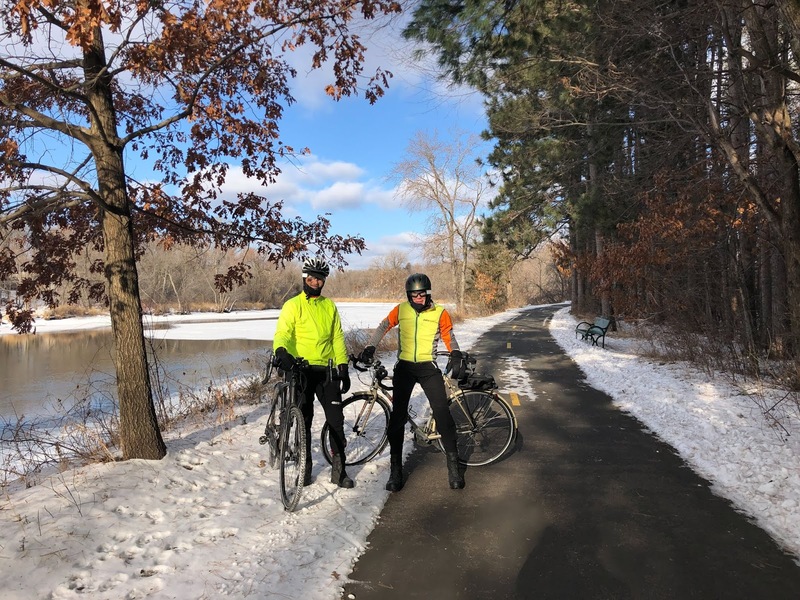 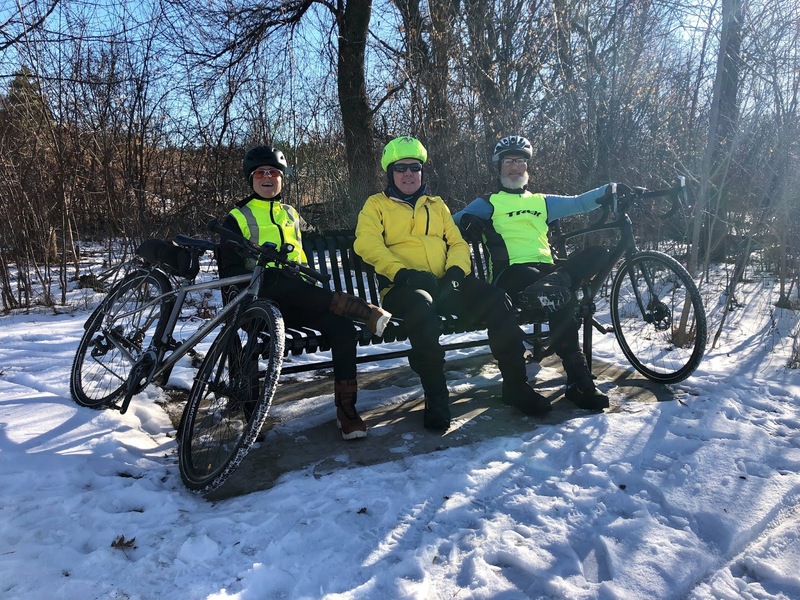 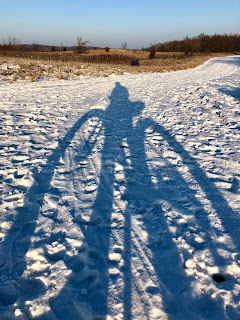 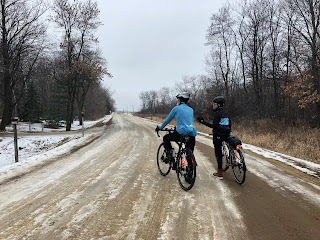 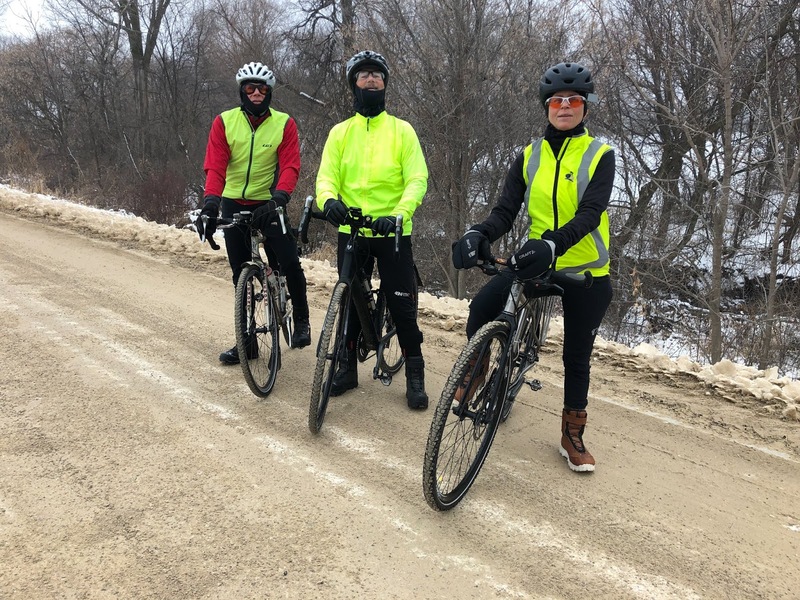 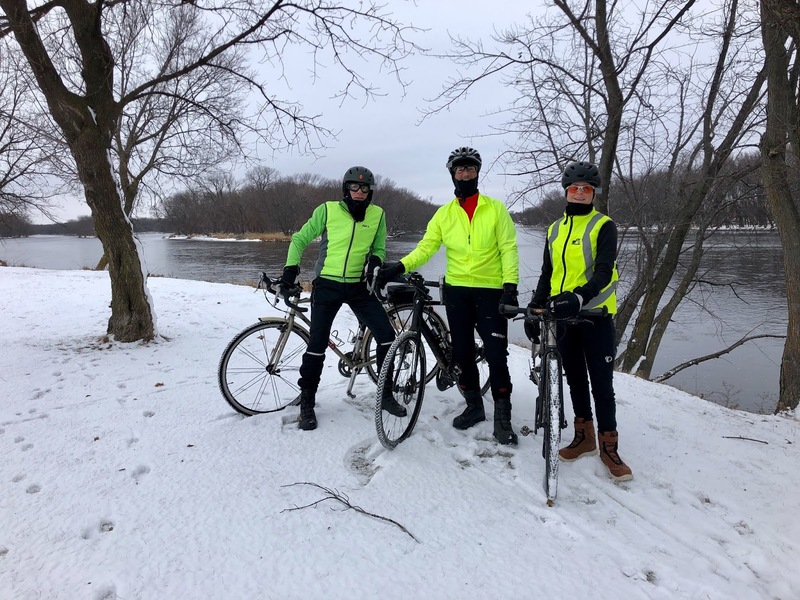 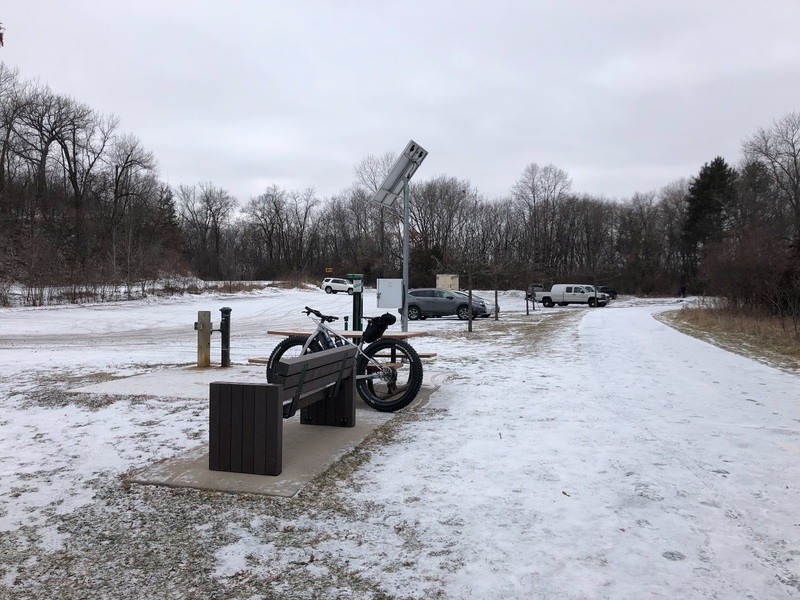 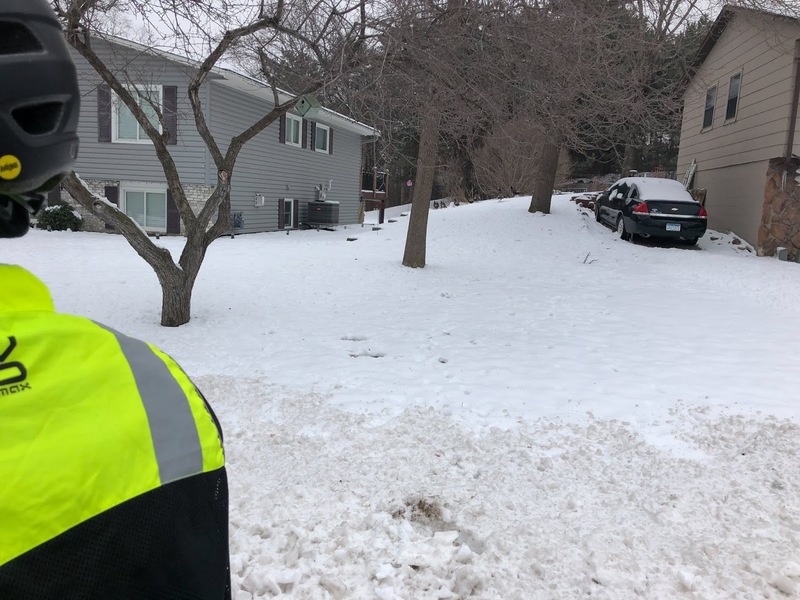 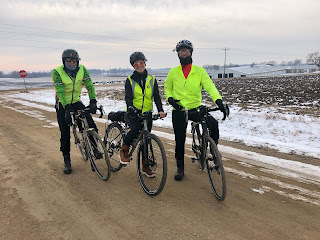 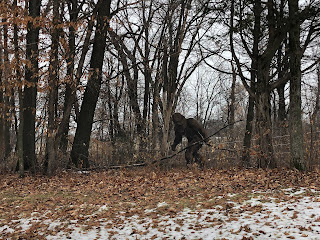 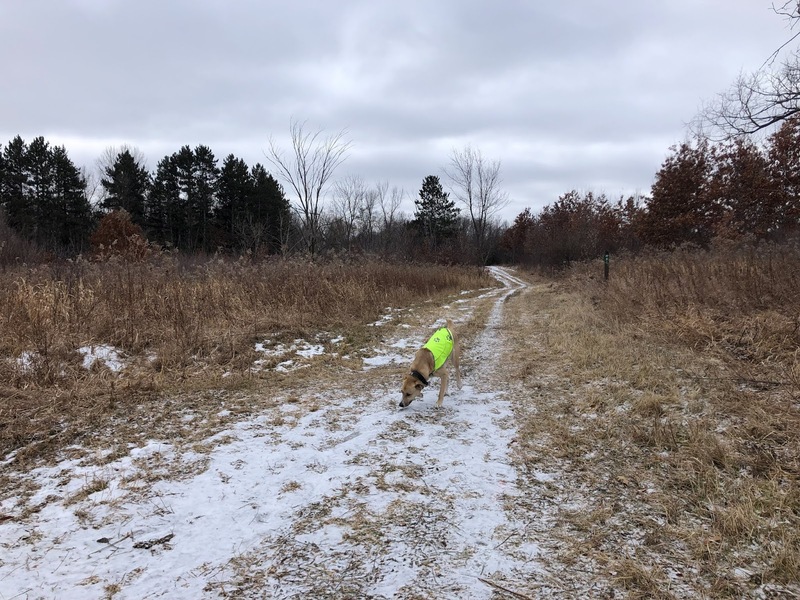 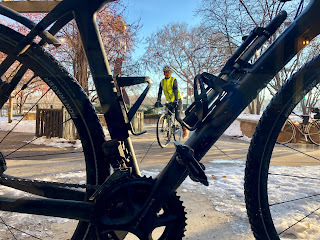 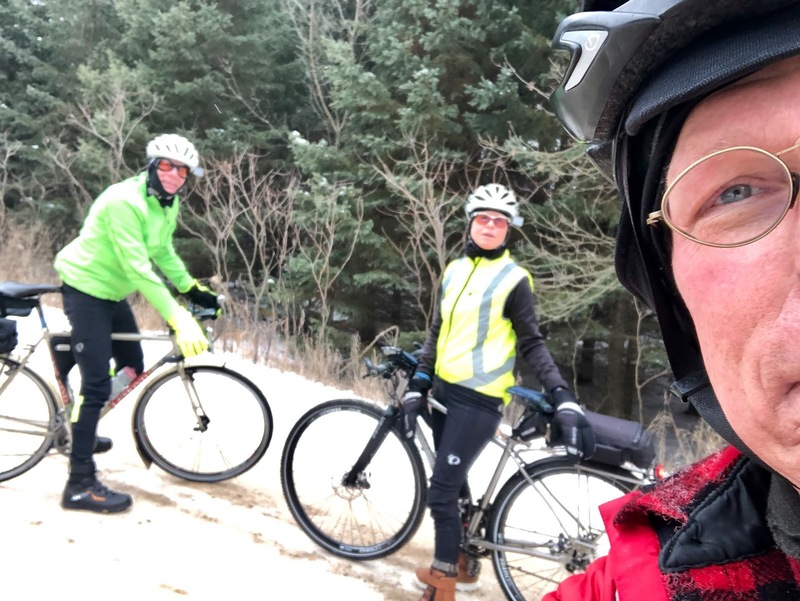 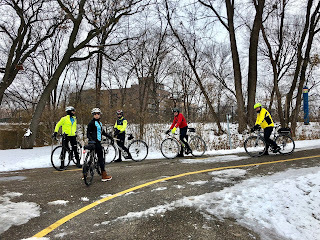 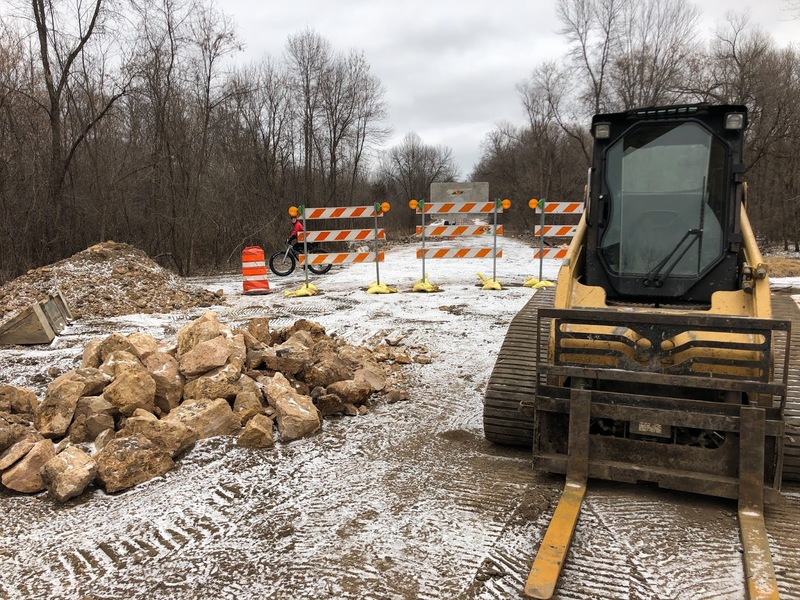 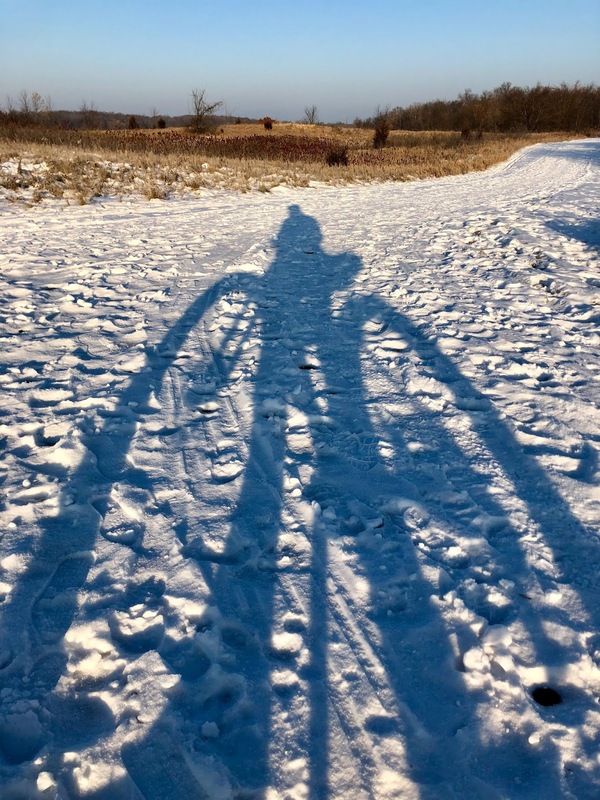 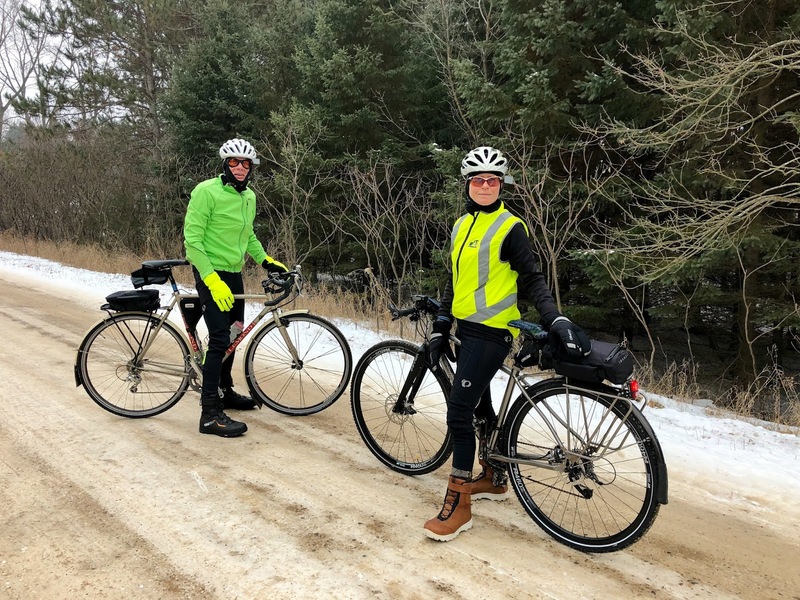 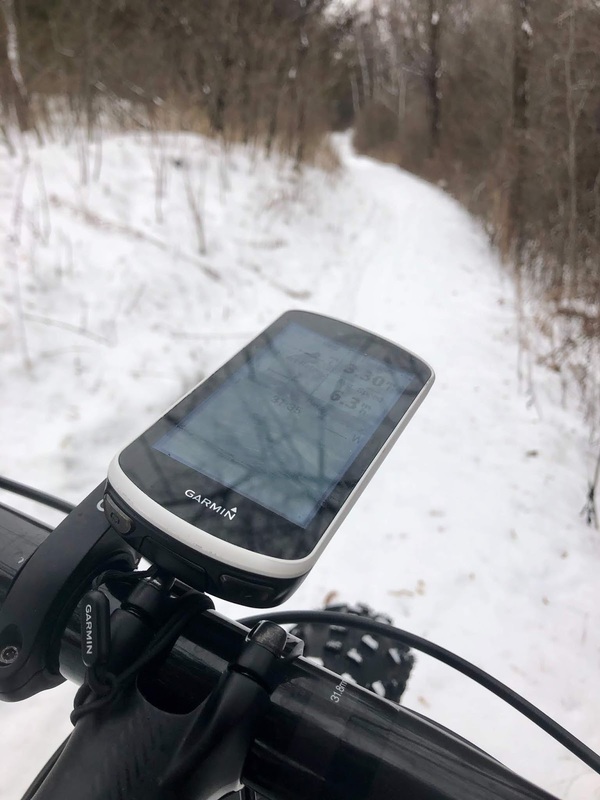 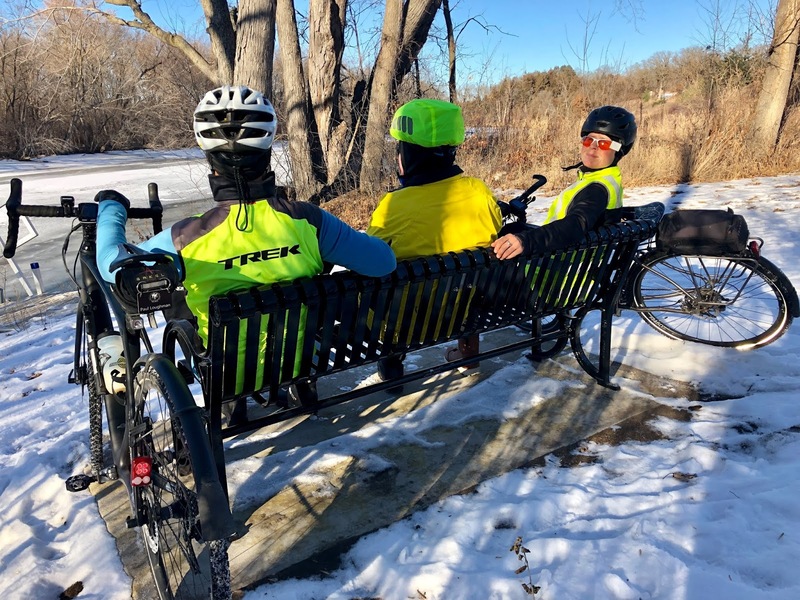 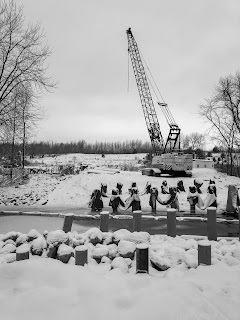 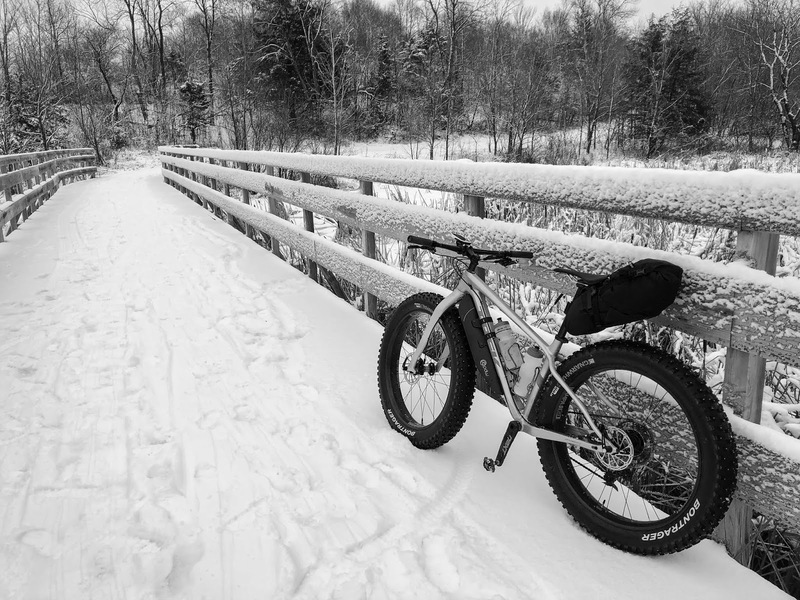 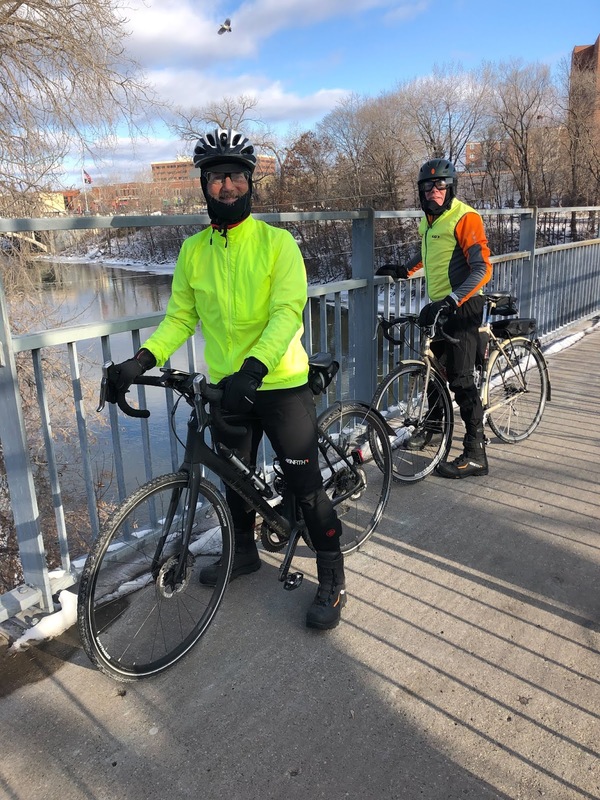 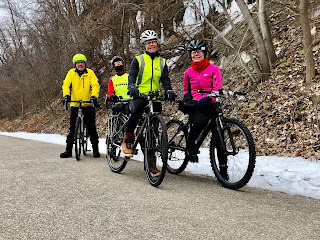 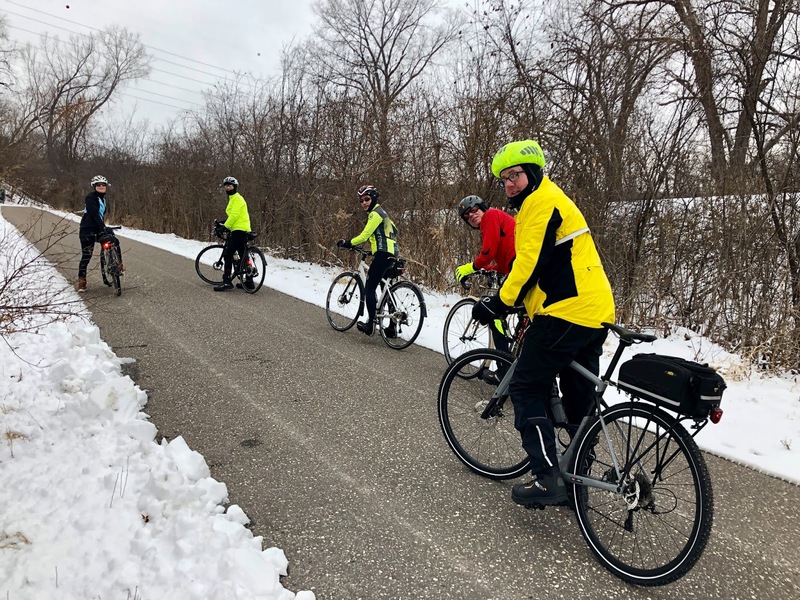 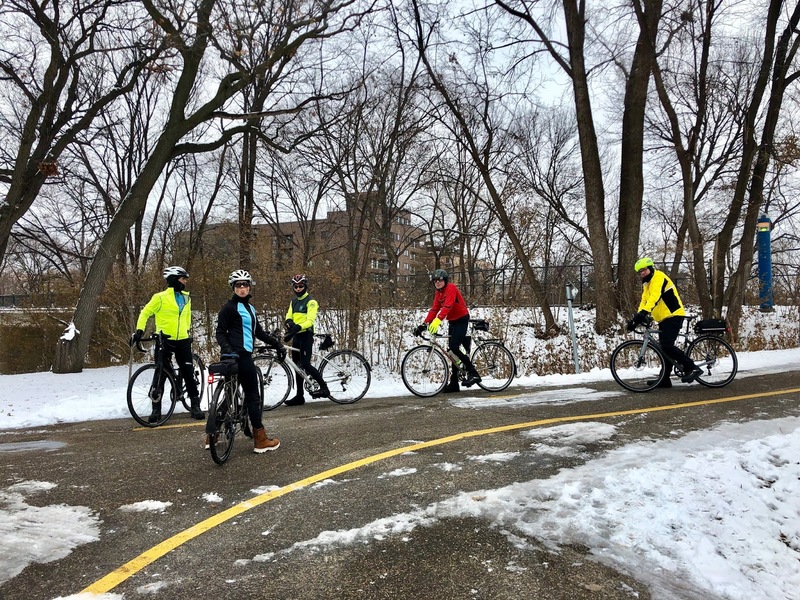 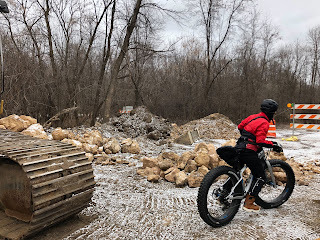 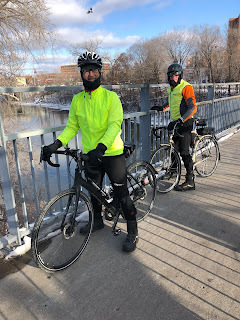 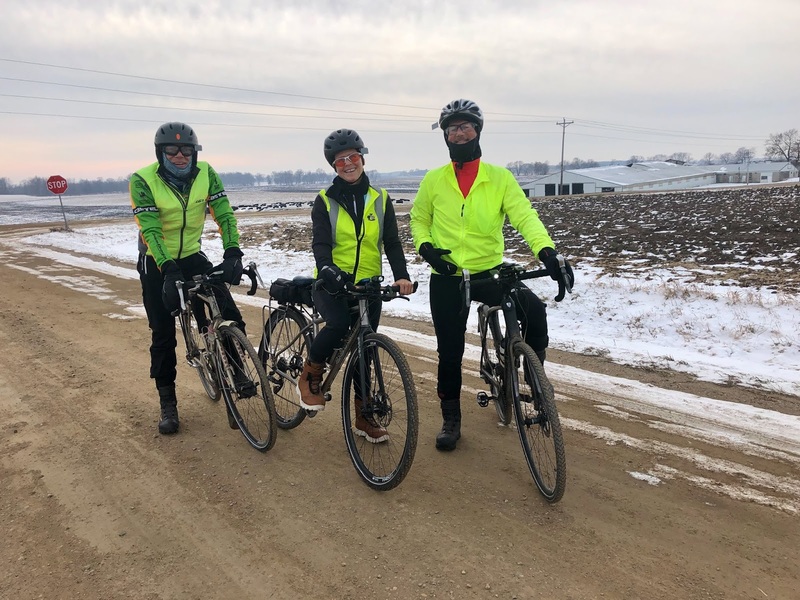 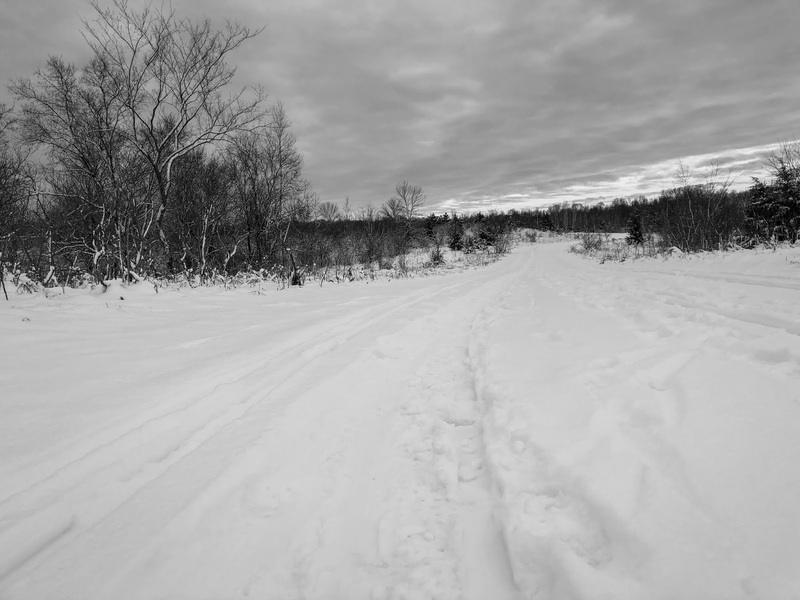 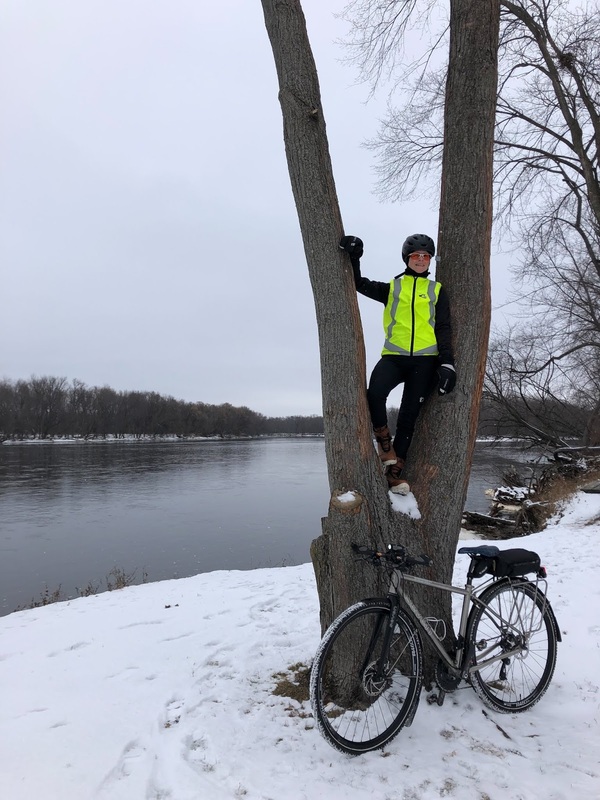 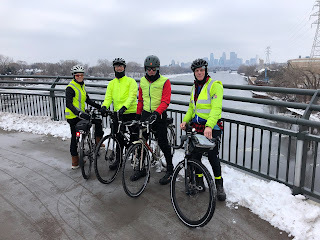 On 12-12-18 Joe led one of his Credit River Ramble rides from Lakeville, MN. 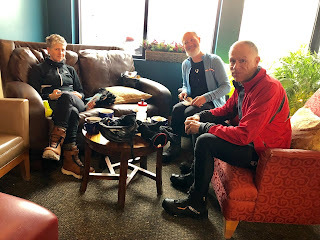 The break was at BlueNose Coffee in Farmington, MN. This was a 41 mile ride. 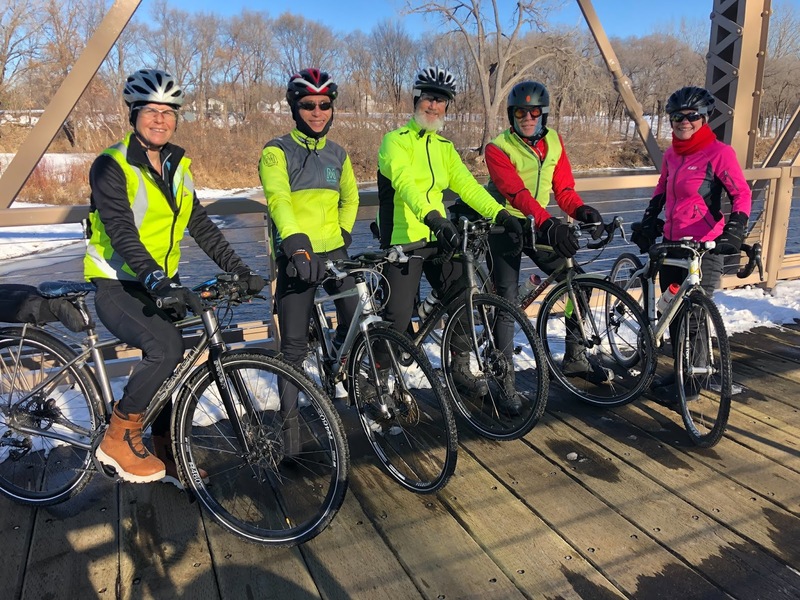 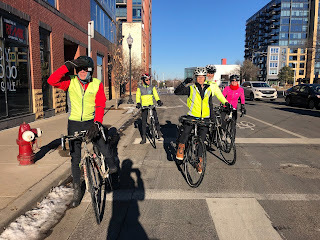 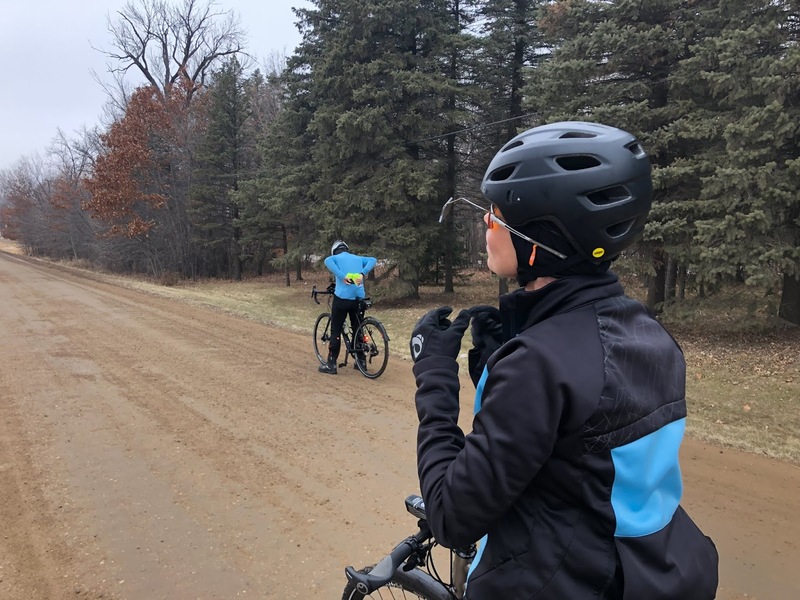 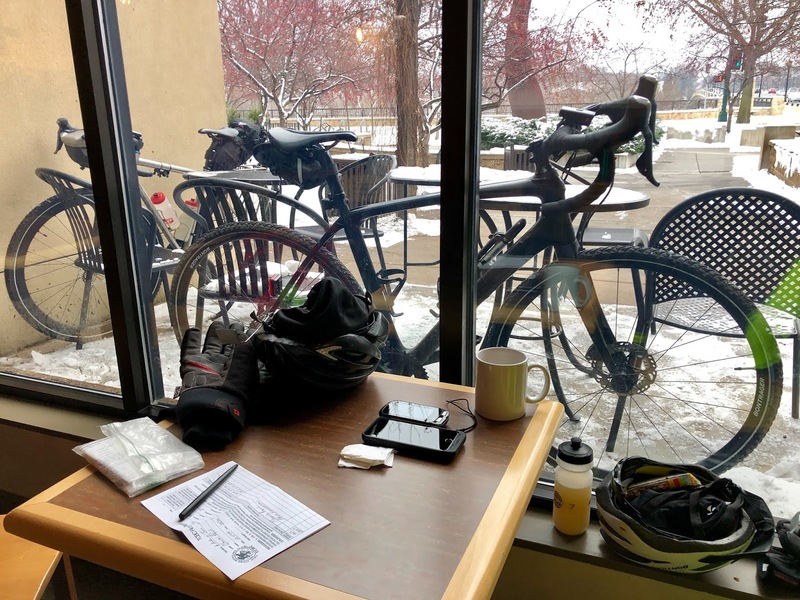 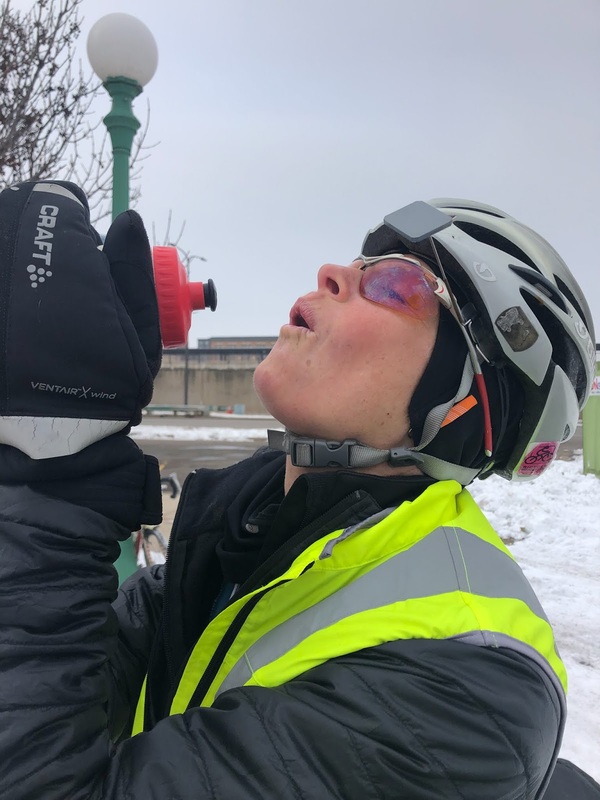 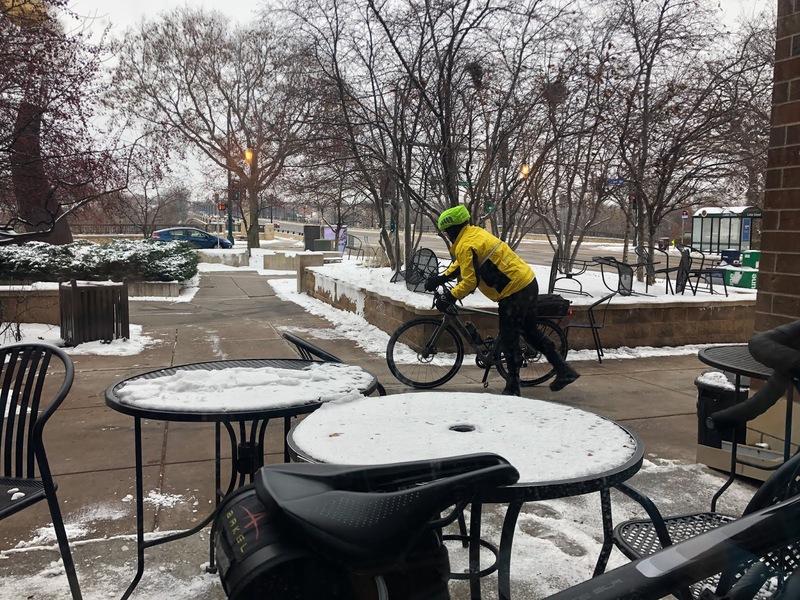 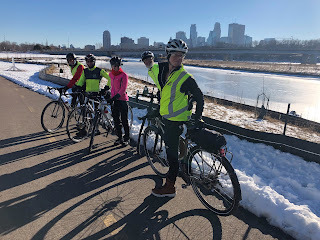 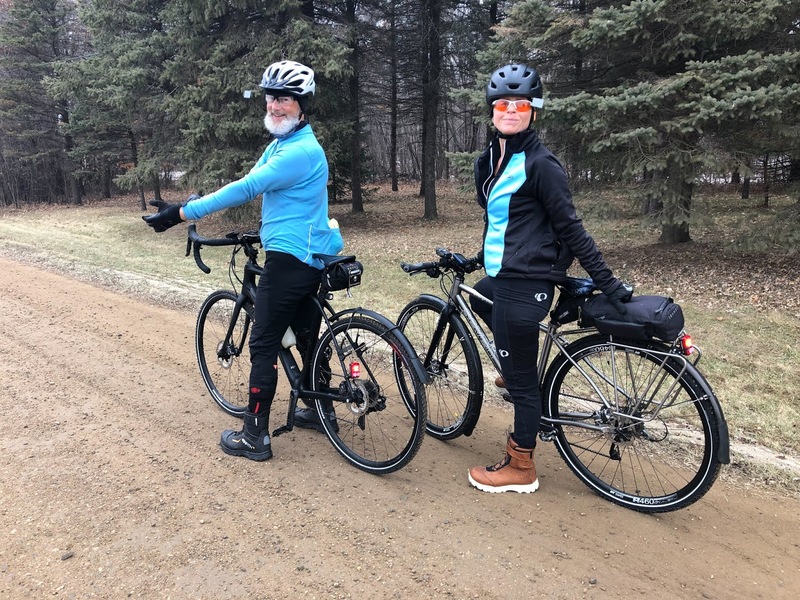 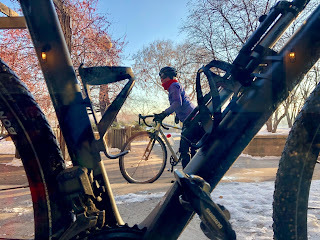 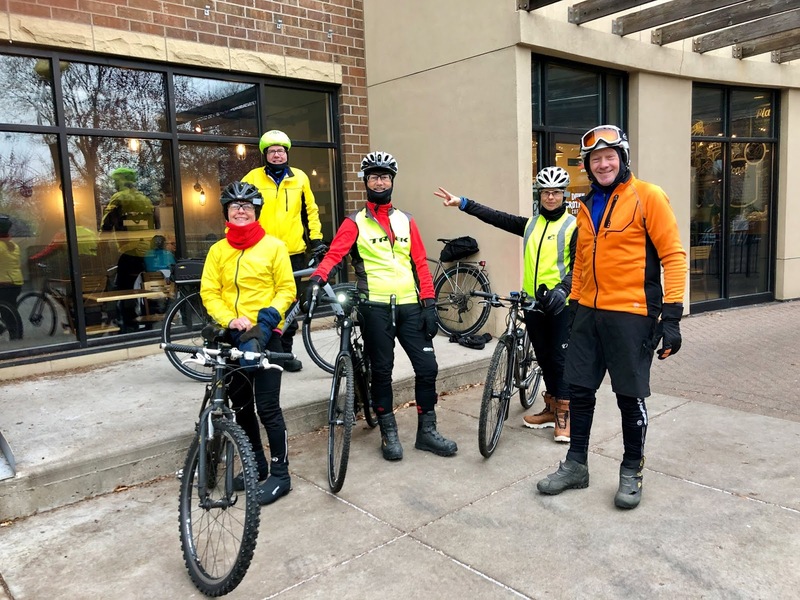 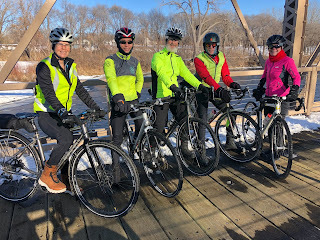 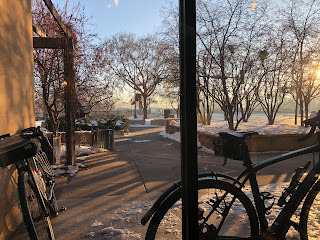 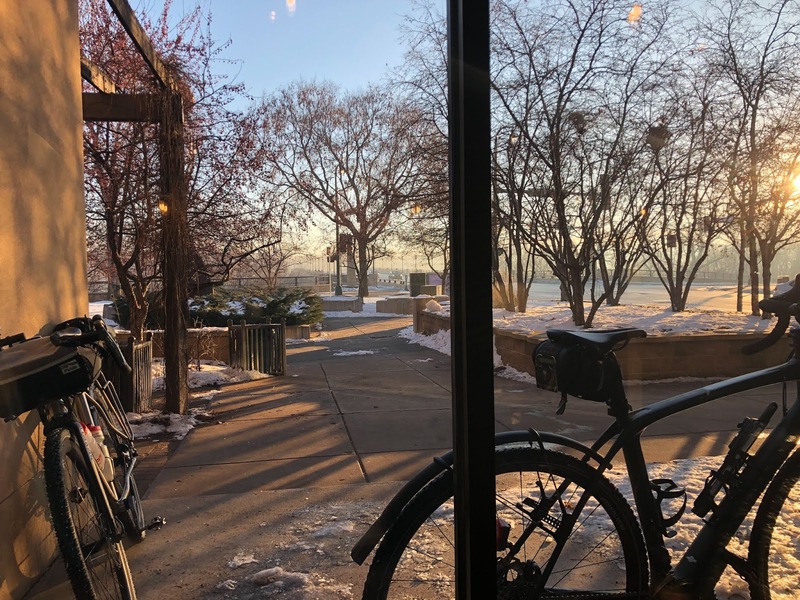 On 12-13-18 Catherine led her Lake Elmo Spin ride from Nina's Coffee in St. Paul, MN. On 12-15-15 it was my 46 mile Coffee Run ride from Dunn Brothers. 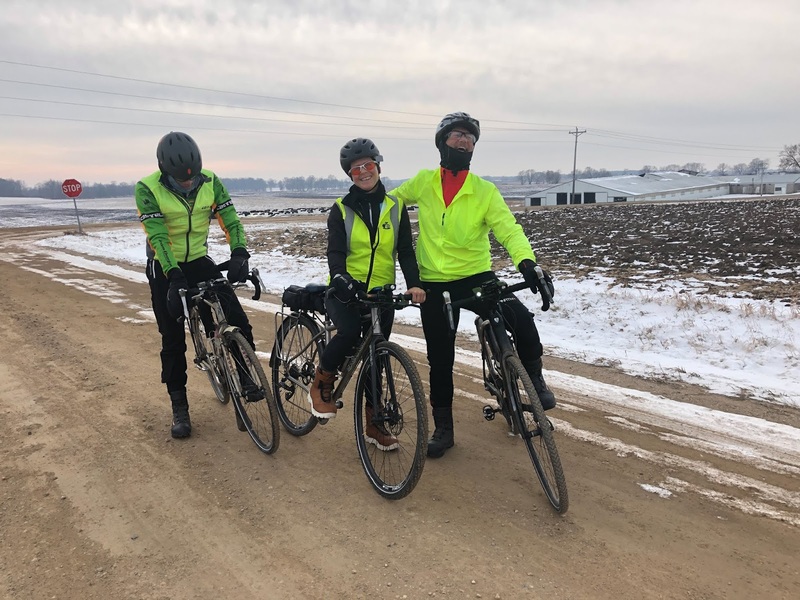 On 12-17-18 Catherine, Chuck, Paul and I rode my ride, Back to the Box, a 53 mile ride. 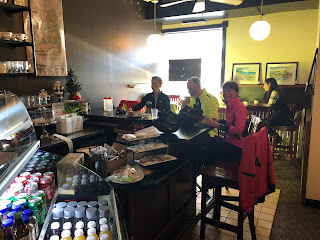 We stopped back to one of our favorite places to take a break the Bridge Street Coffee Box. 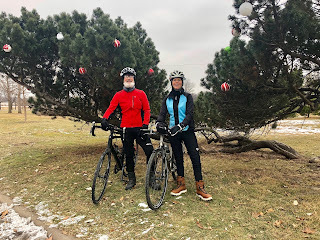 On 12-19-18 it was my 51 mile Going Somewhere Wednesday ride. Just Catherine, Paul and I rode the route. On 12-22-18 it was back to the Dunn Brothers in Minneapolis where we would start my ride... Another Coffee Run. This time we took our break at The Depot Coffee Shop in Hopkins. 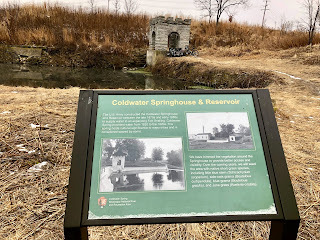 Liesa also wanted us to check out the Coldwater Springhouse, since we would be riding right by it. 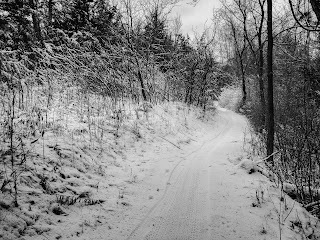 We had to walk our bikes a short distance due to the rough solid ice trail leading to the spring. 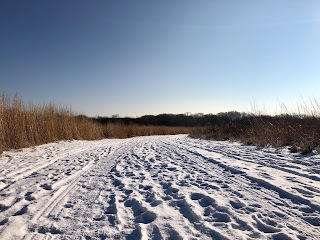 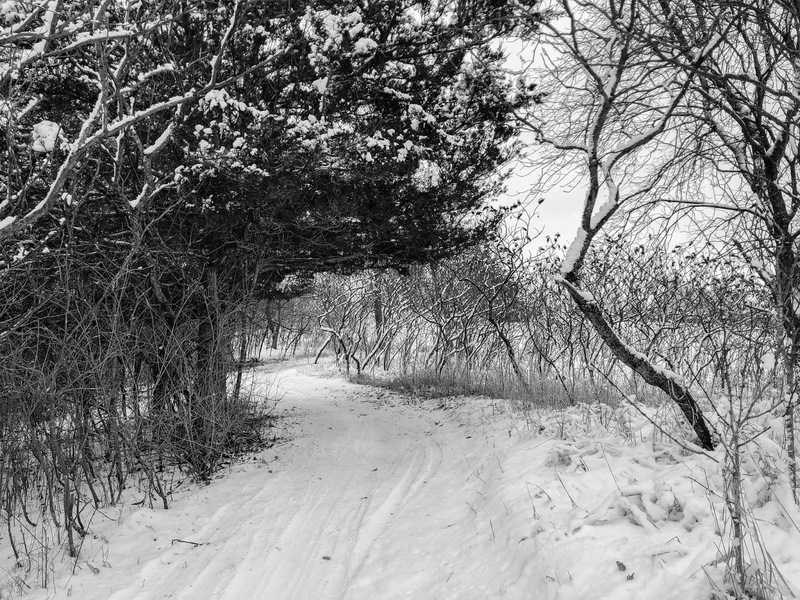 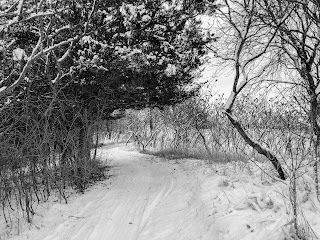 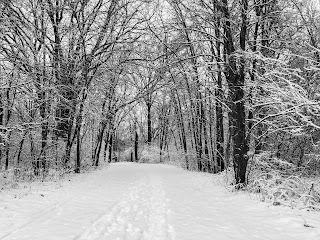 On 12-23-18 Catherine and I took our fat bikes to Elm Creek Park. 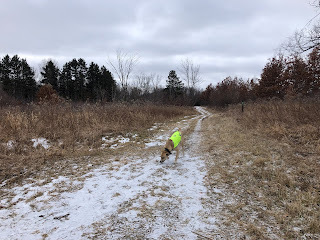 We rode a little over 13 miles while giving Catherine's dog, Griffin, a workout. Griffin loves to go fat biking! 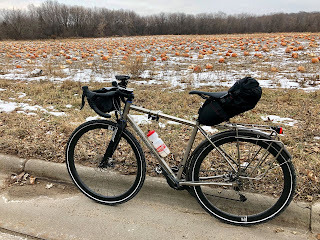 It was a pleasure to ride the roads without much traffic. 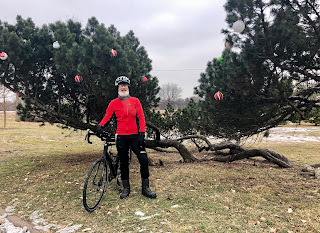 On 12-26-18 I took a short 17 mile ride on the Seven Evergreen. 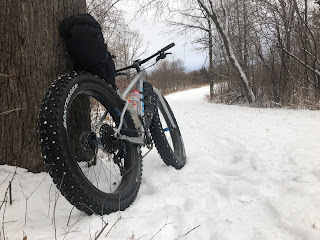 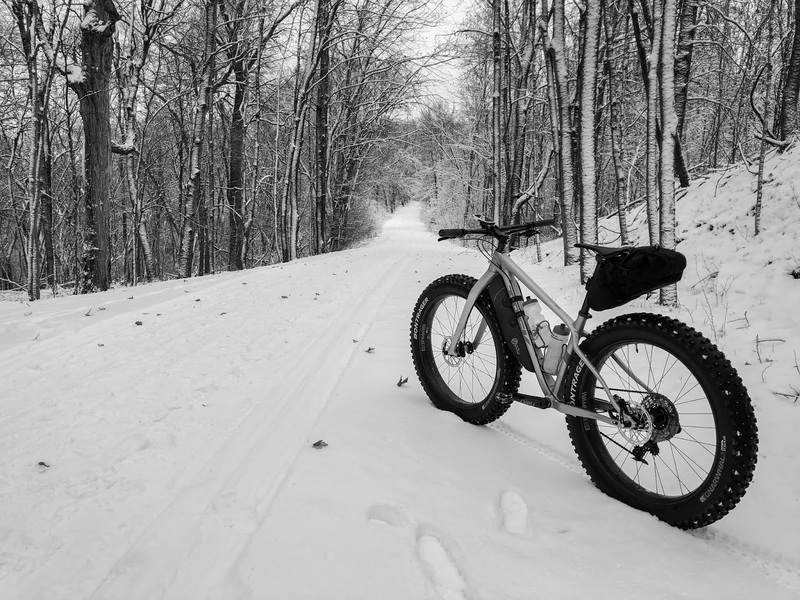 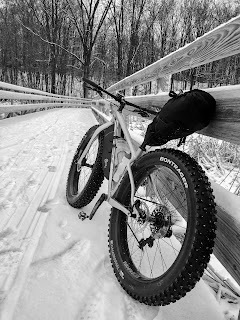 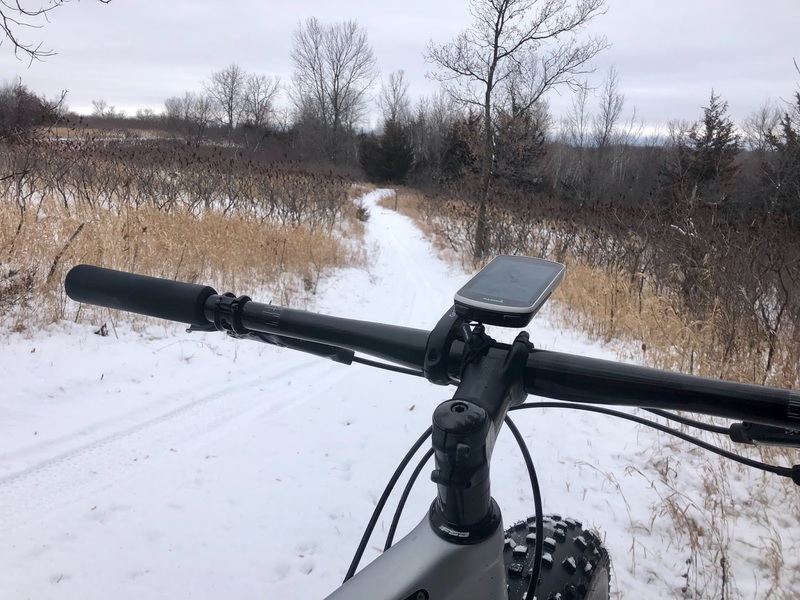 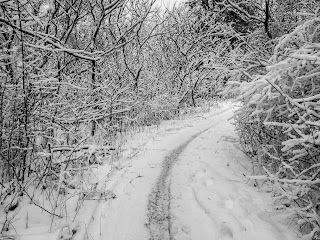 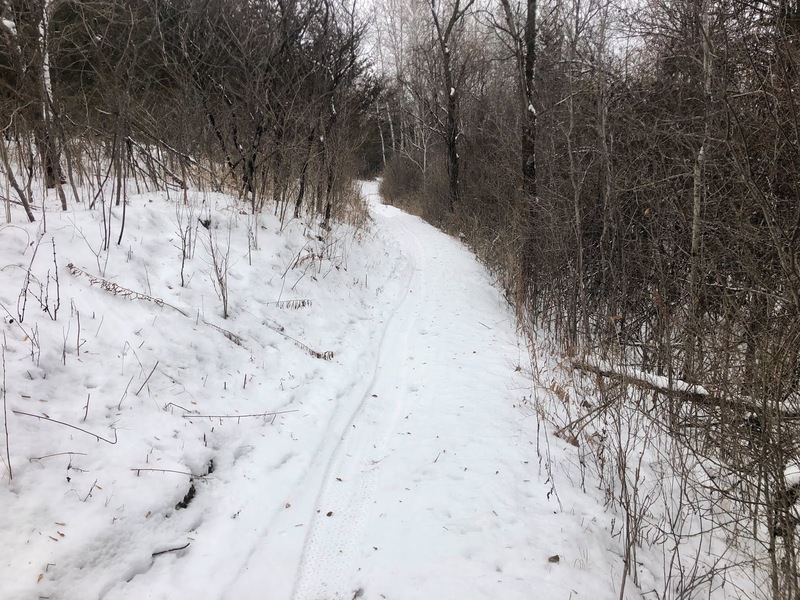 On 12-30-18 I took the fat bike out around Elm Creek. 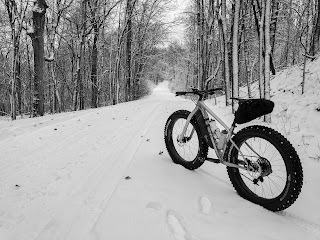 This was a 13.6 mile ride. 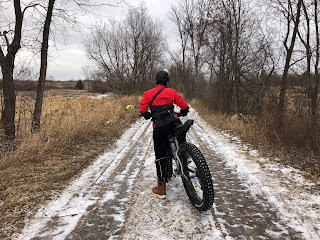 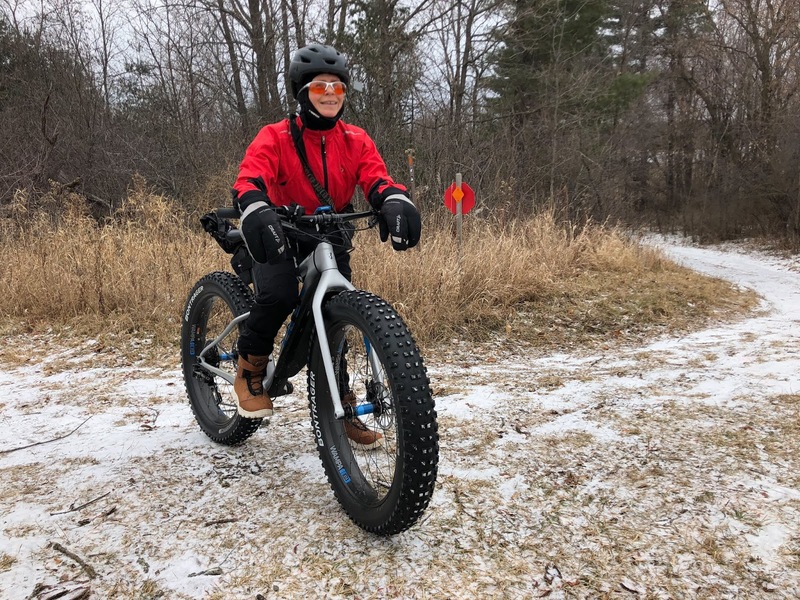 The last day of 2018 I took the fat bike out again. 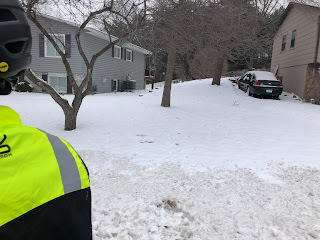 I stayed around the Elm Ceek area. 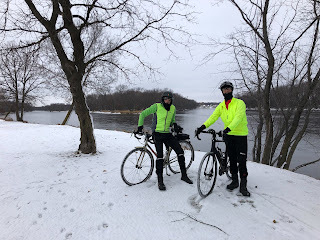 This was a 3 hour ride of 17 miles. 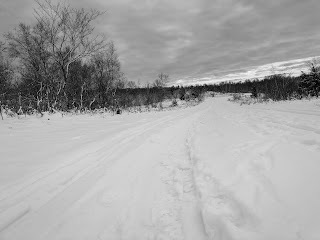 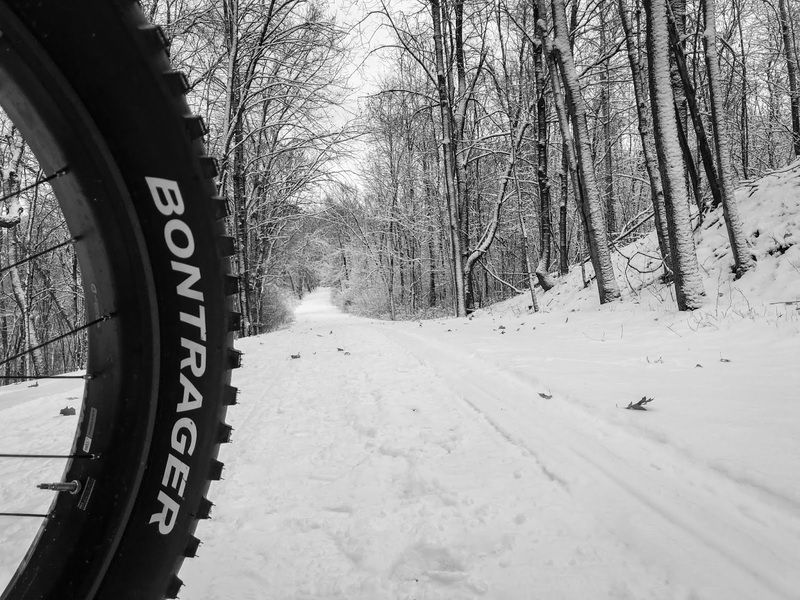 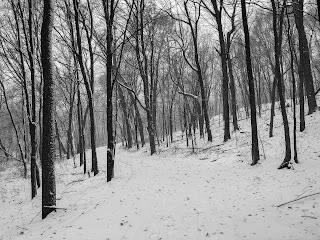 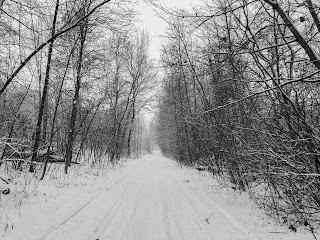 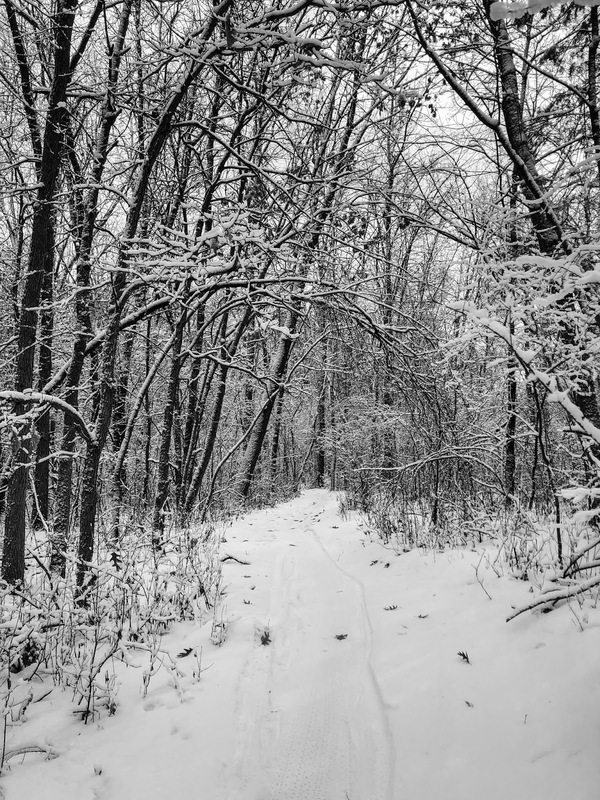 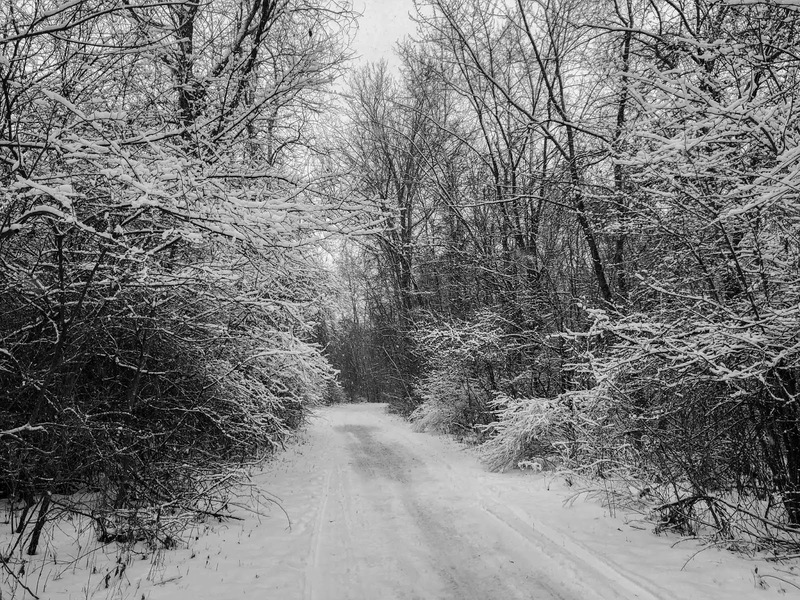 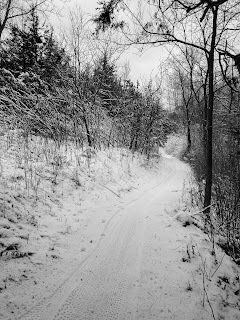 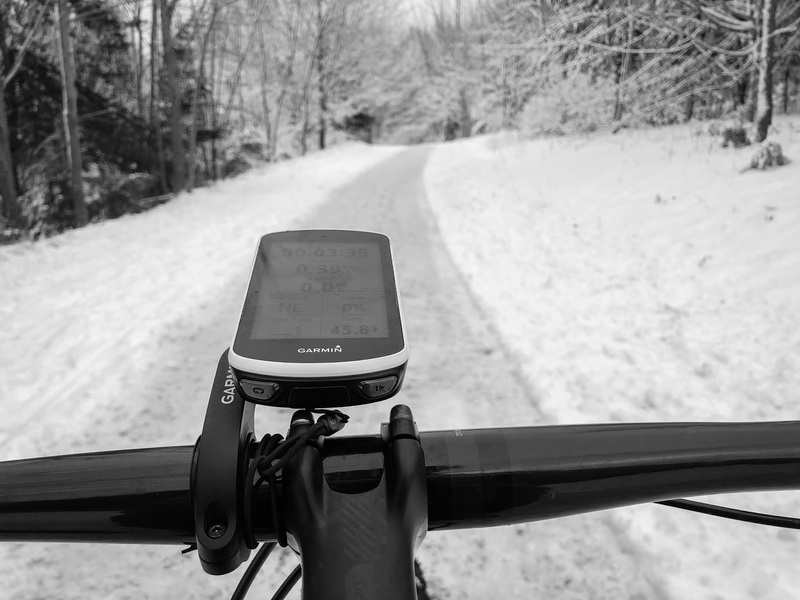 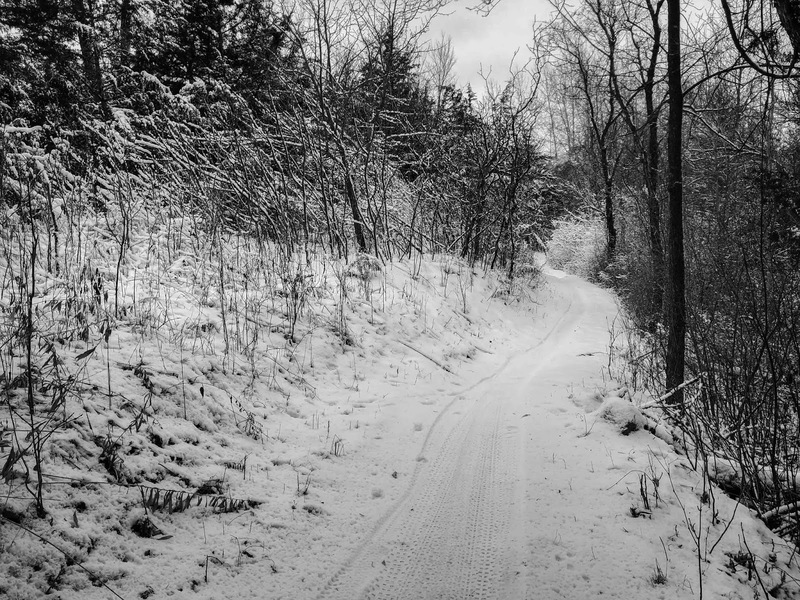 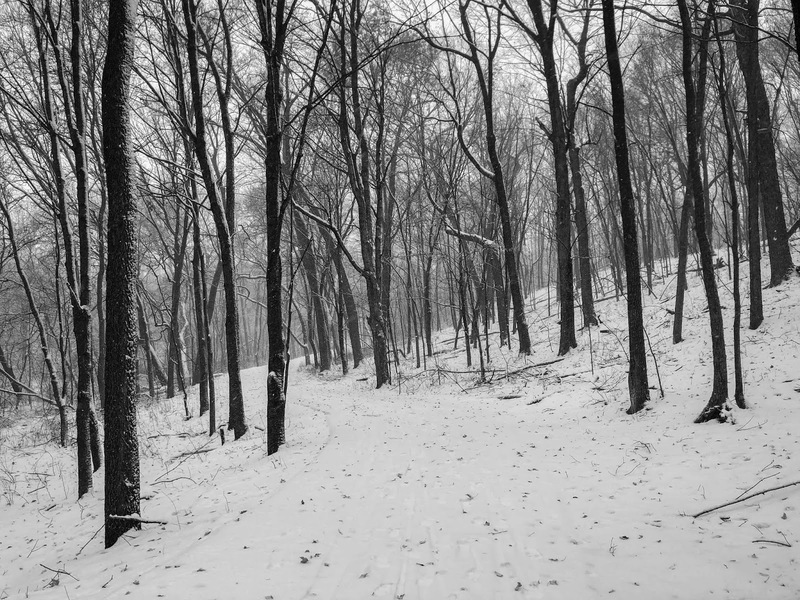 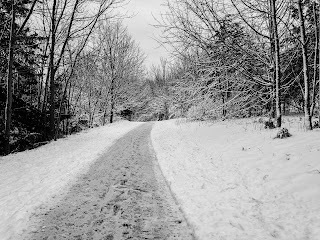 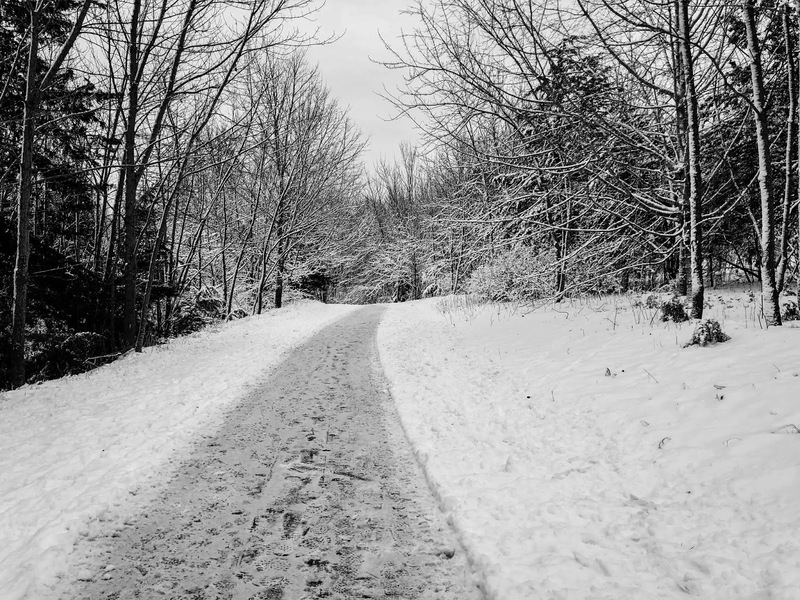 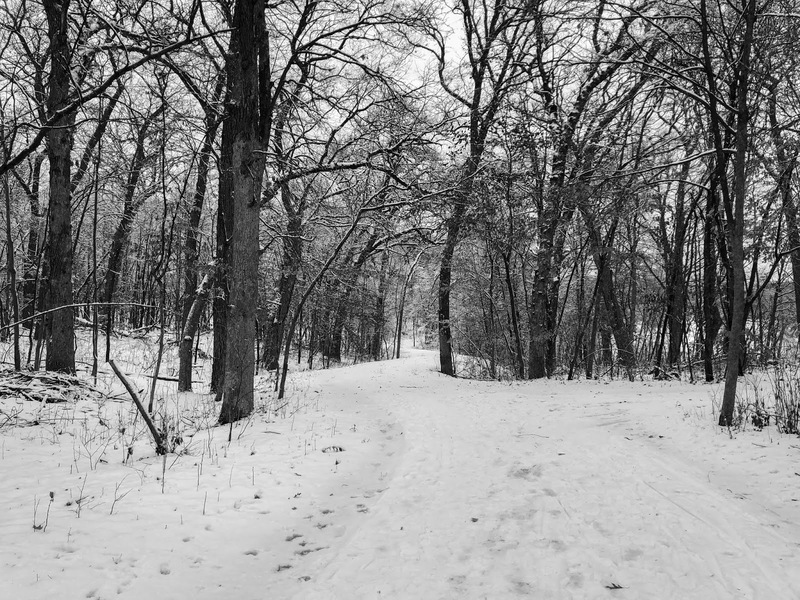 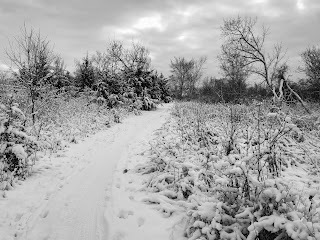 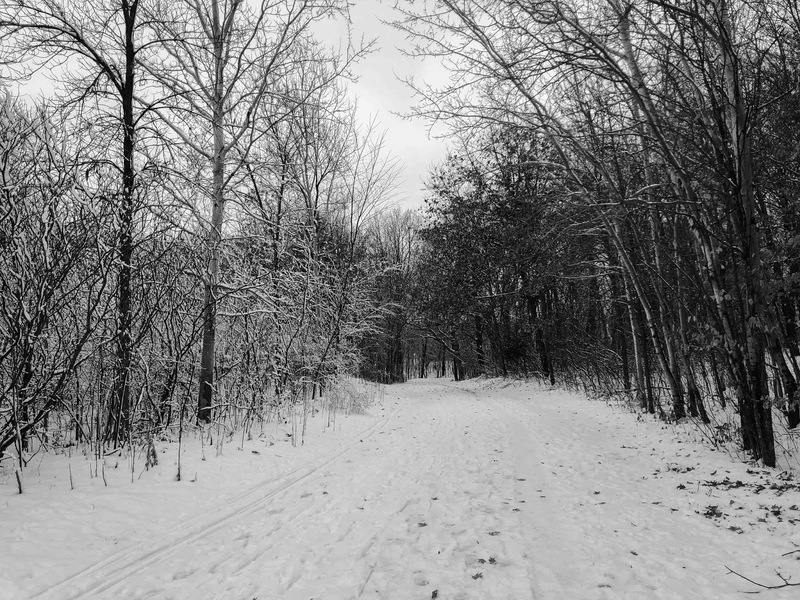 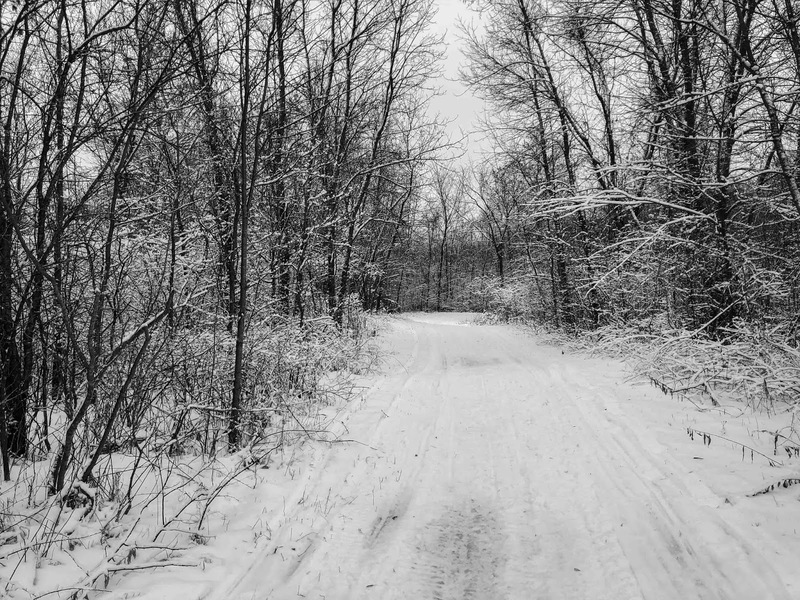 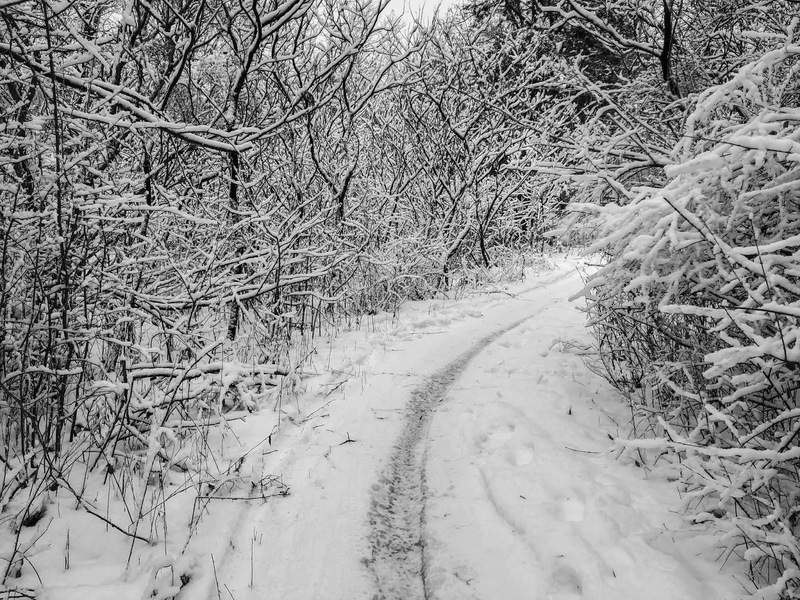 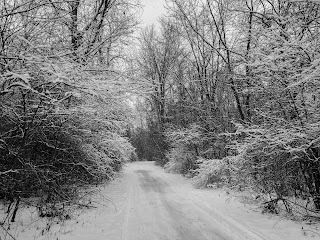 There was a light snow falling for the last hour that I rode making the woods very quiet.